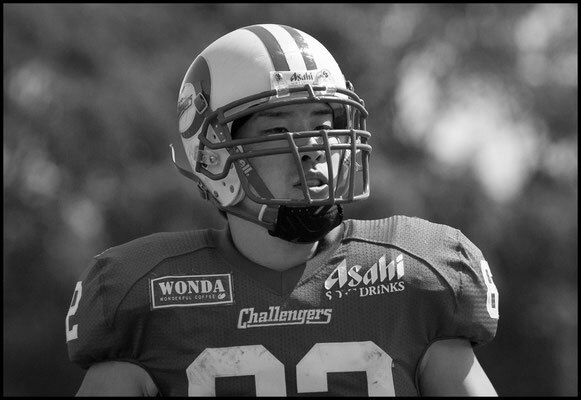 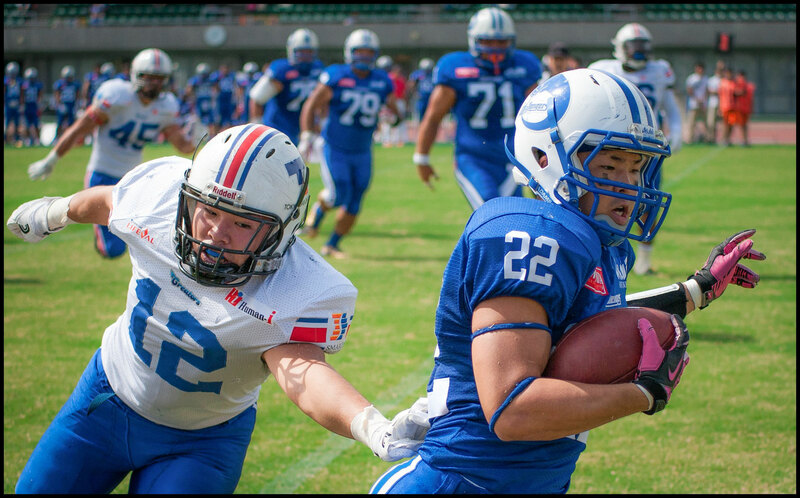 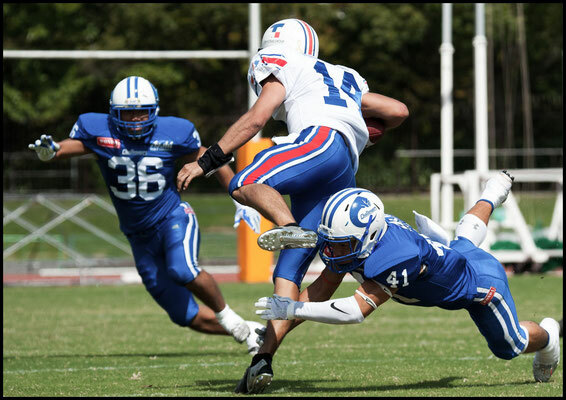 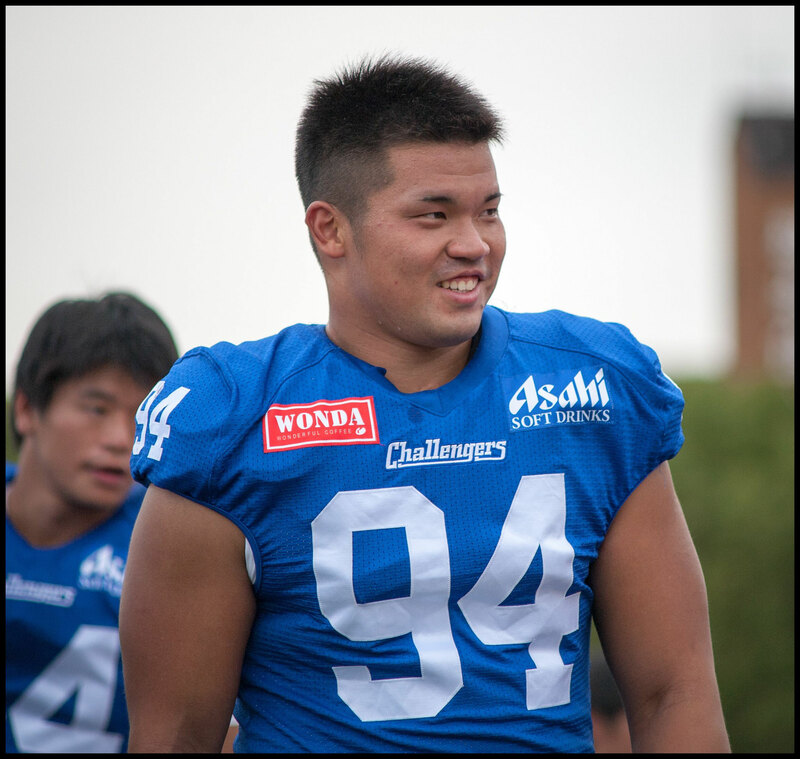 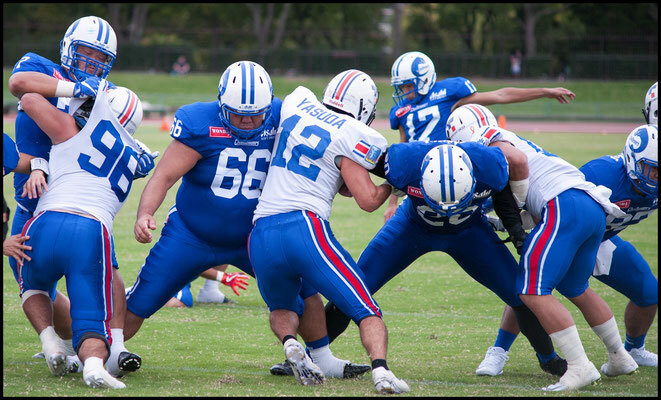 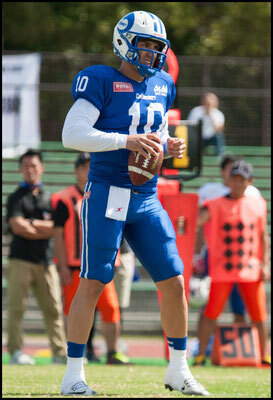 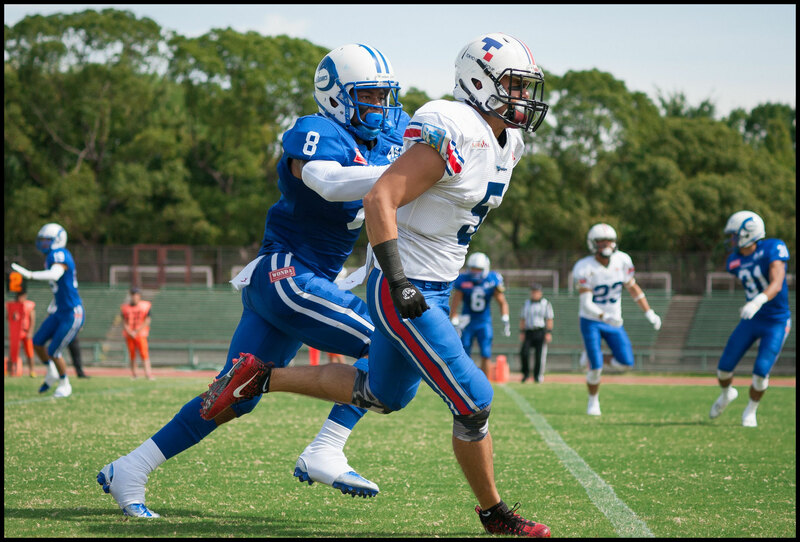 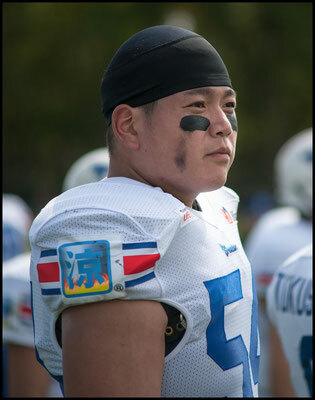 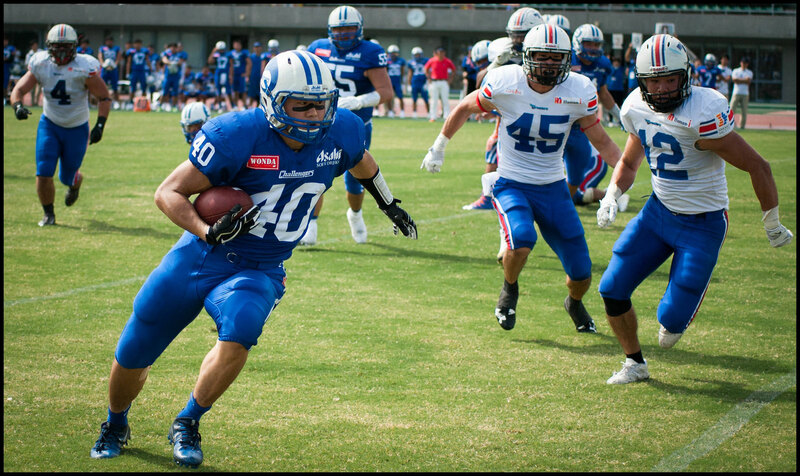 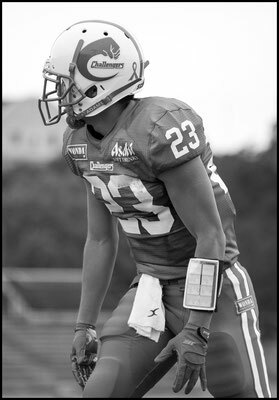 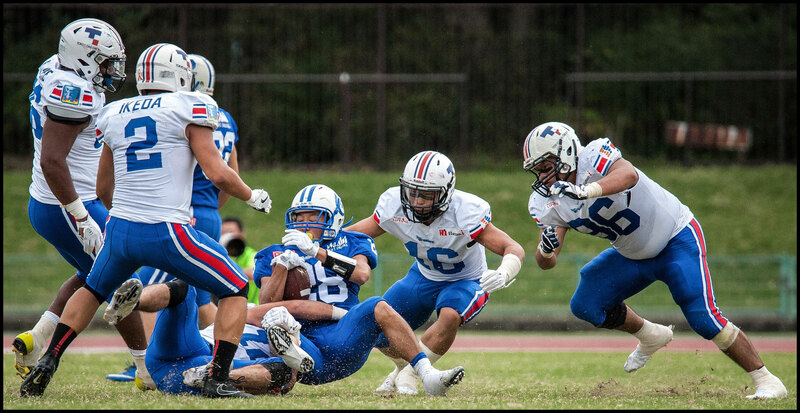 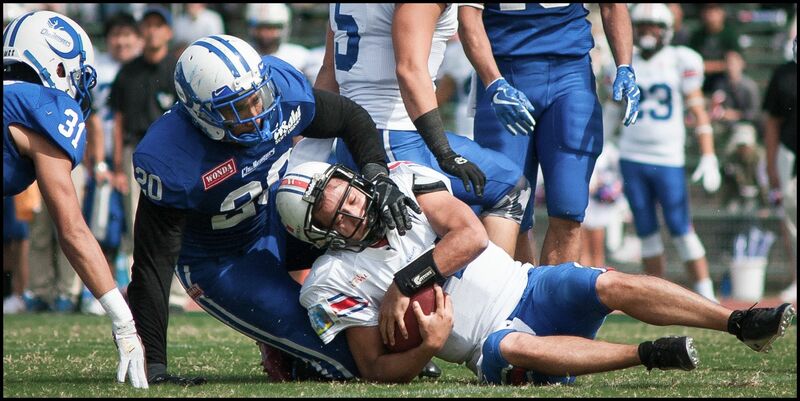 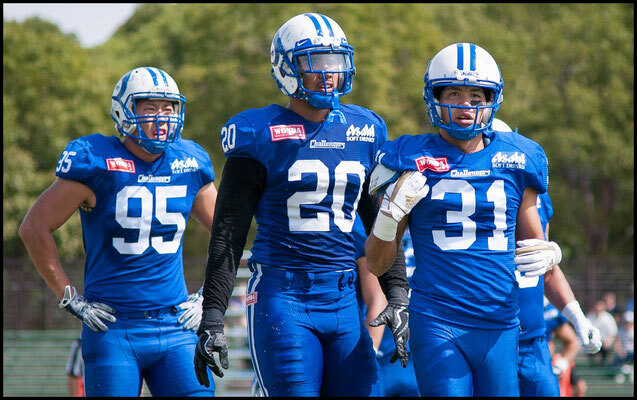 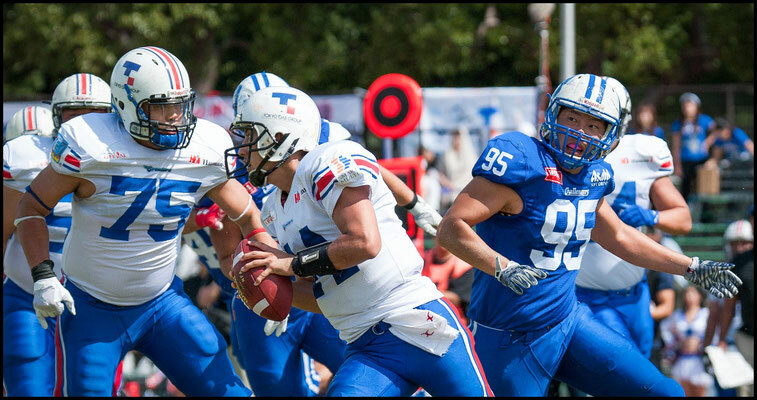 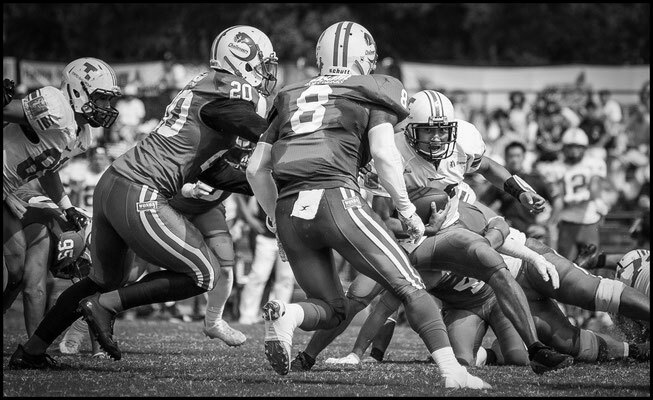 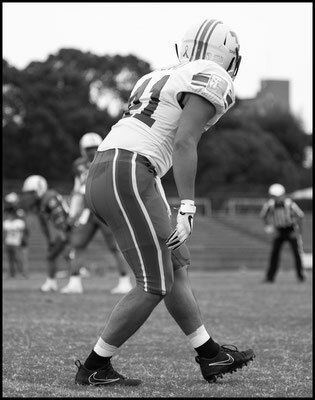 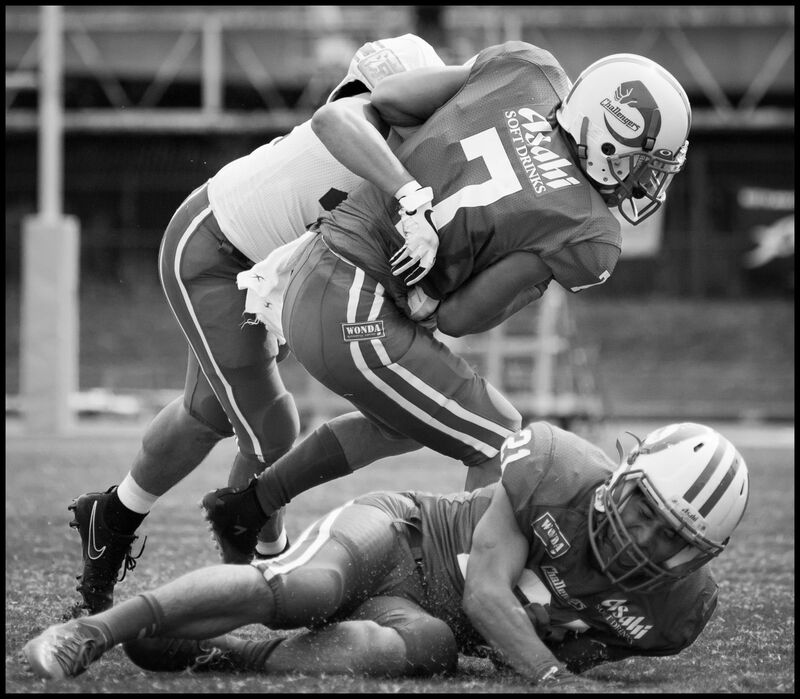 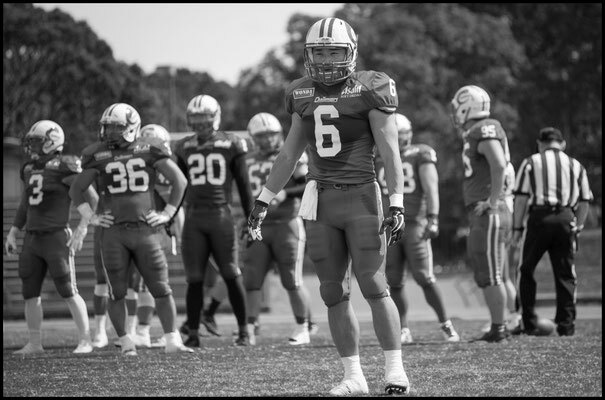 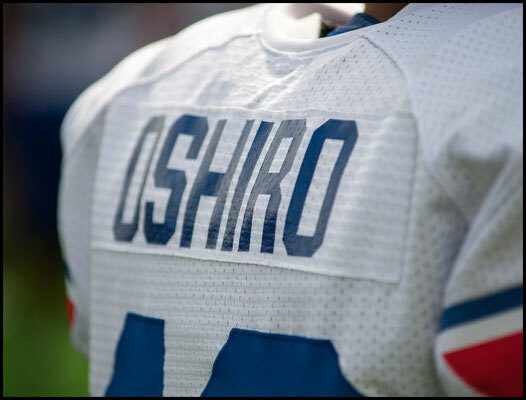 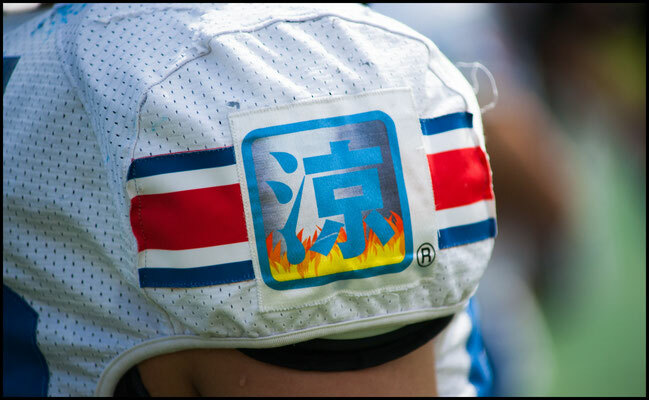 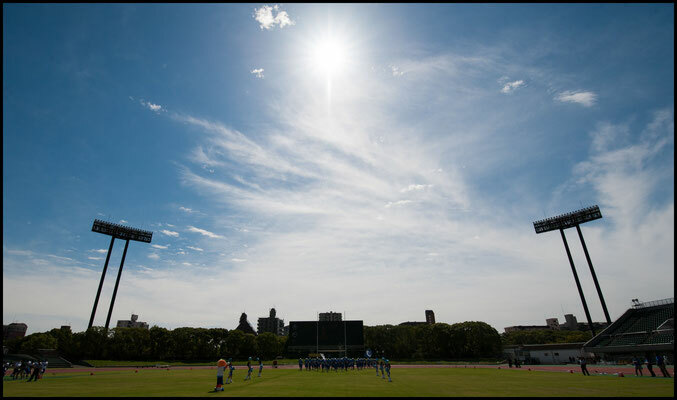 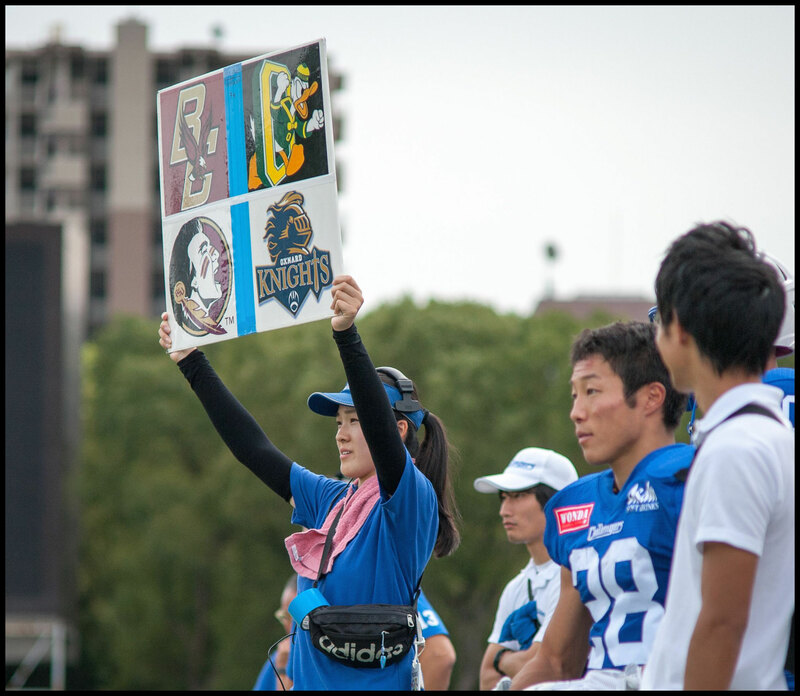 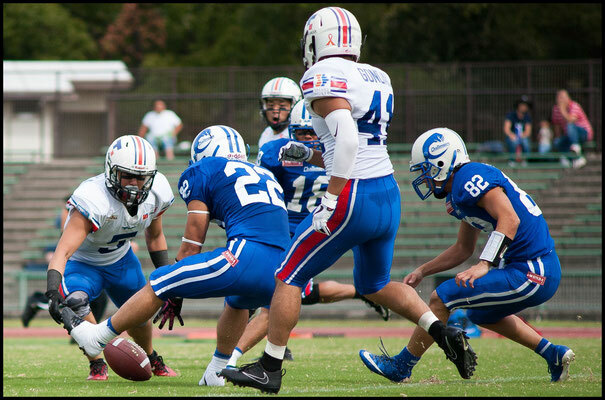 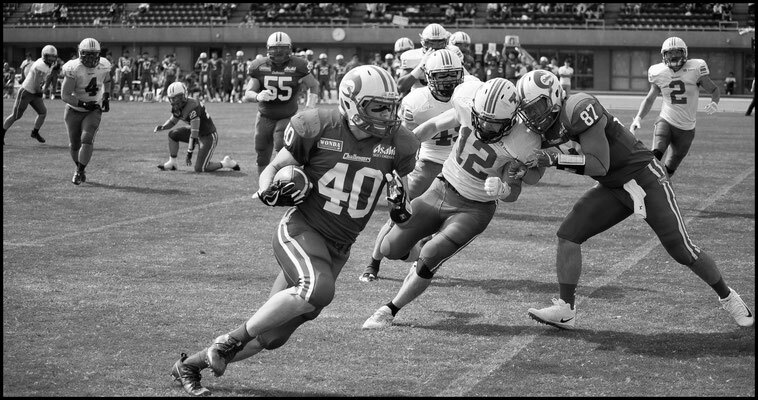 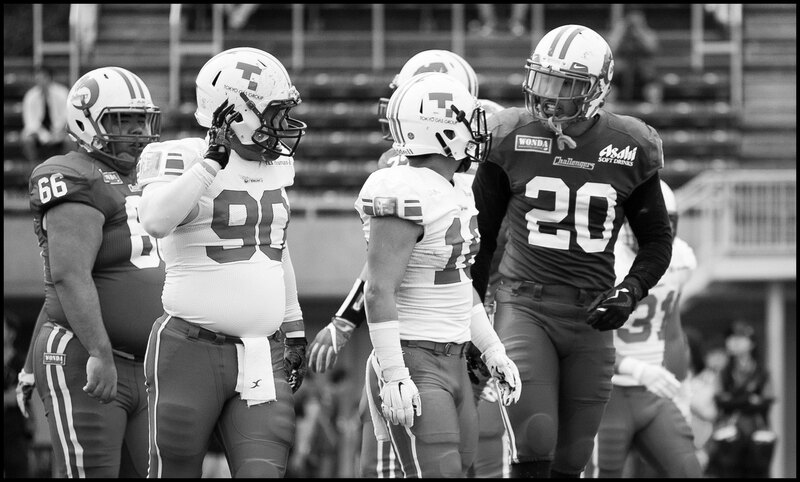 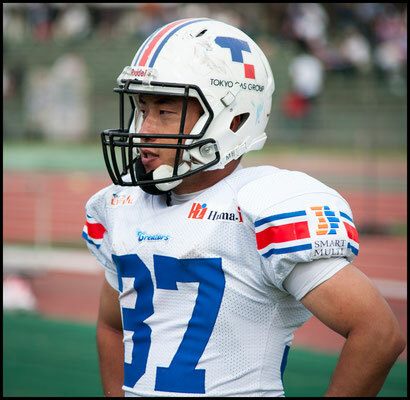 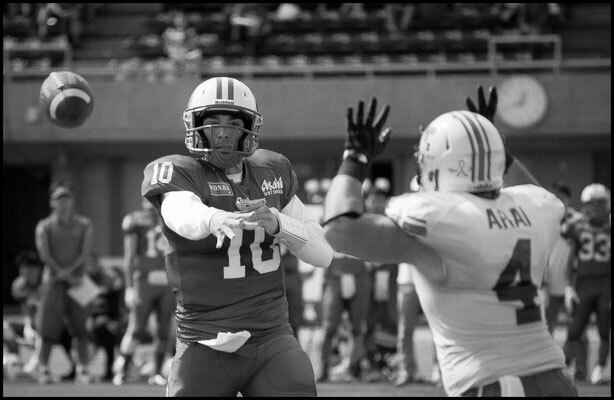 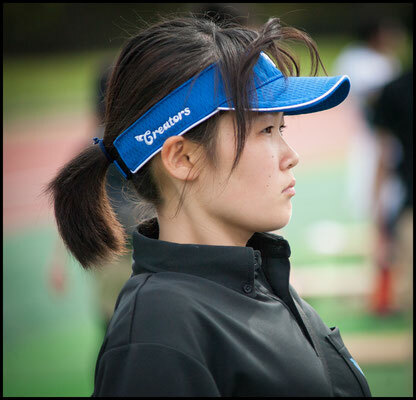 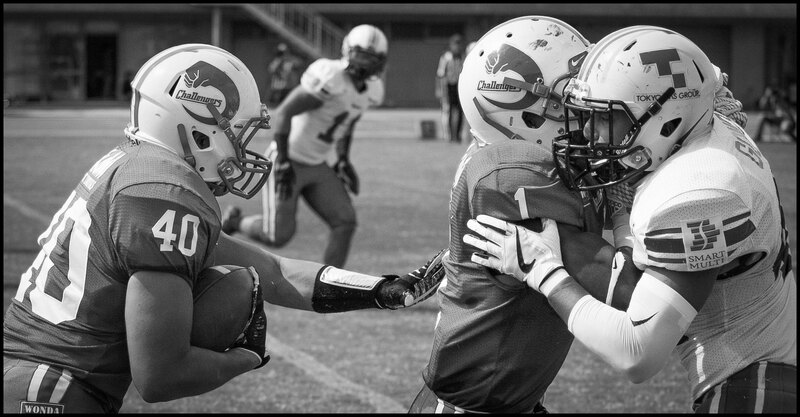 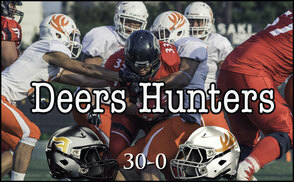 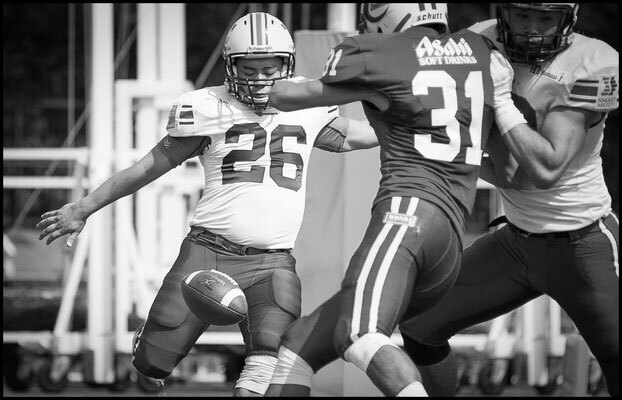 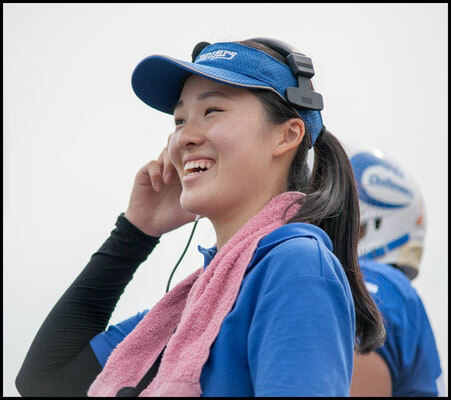 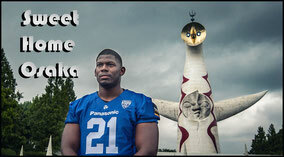 Asahi Soft Drink Challengers steamrolled Tokyo Gas Creators 24-0 on Sunday to leave both teams at 2-2. 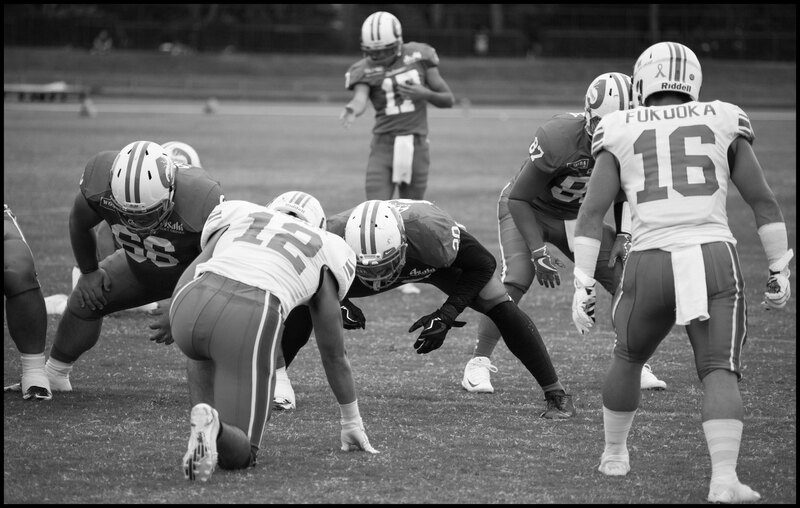 The Challengers got a win that they desperately needed to stay in playoff contention but with Fujitsu and IBM being their two remaining matchups it looks like they’ll need neighbors Elecom Kobe Finies to beat Silver Star in week five if they are to progress. 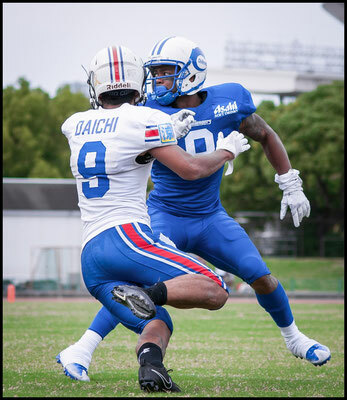 Still scoreless, the second quarter started as a comedy of errors with both teams turning the ball over on consecutive possessions. 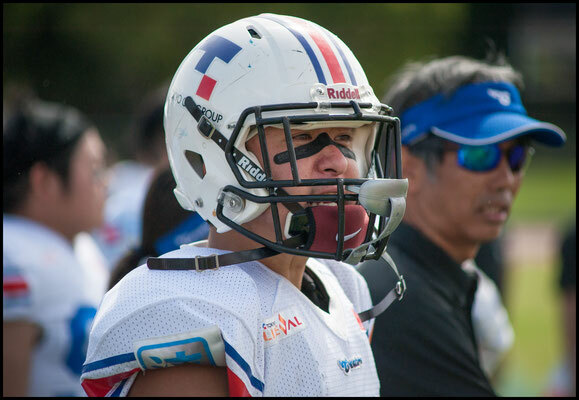 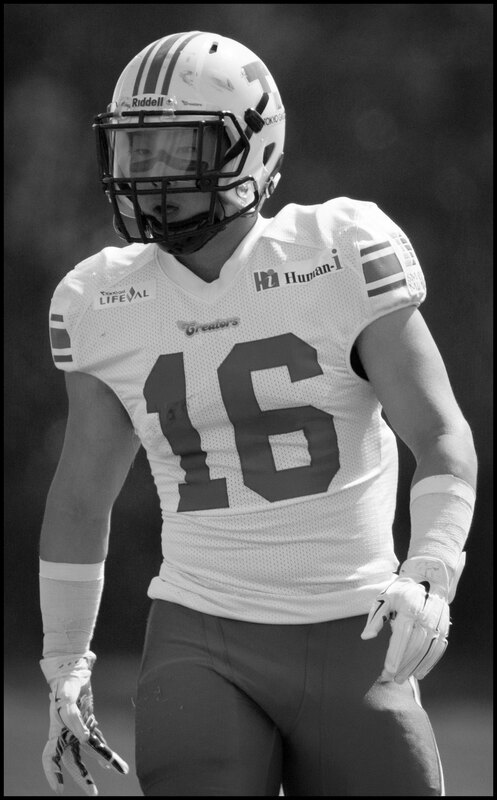 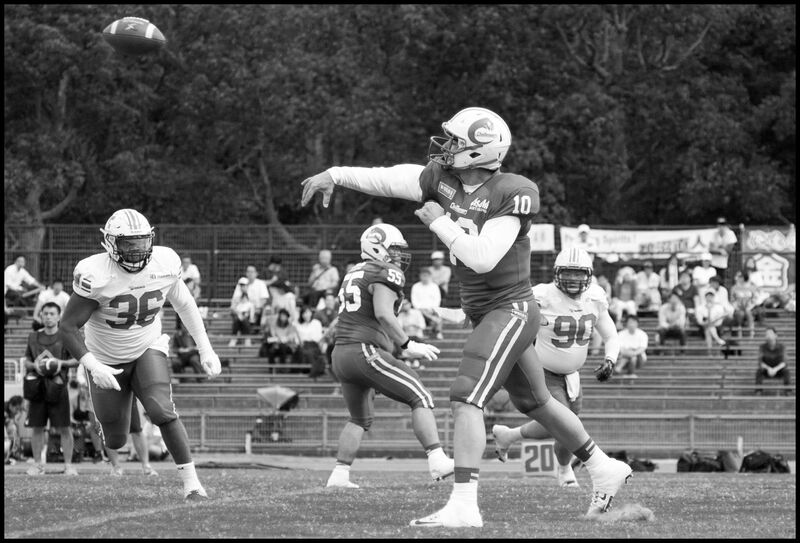 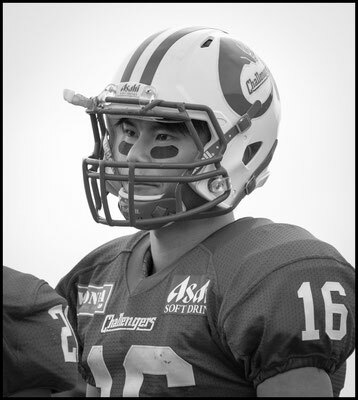 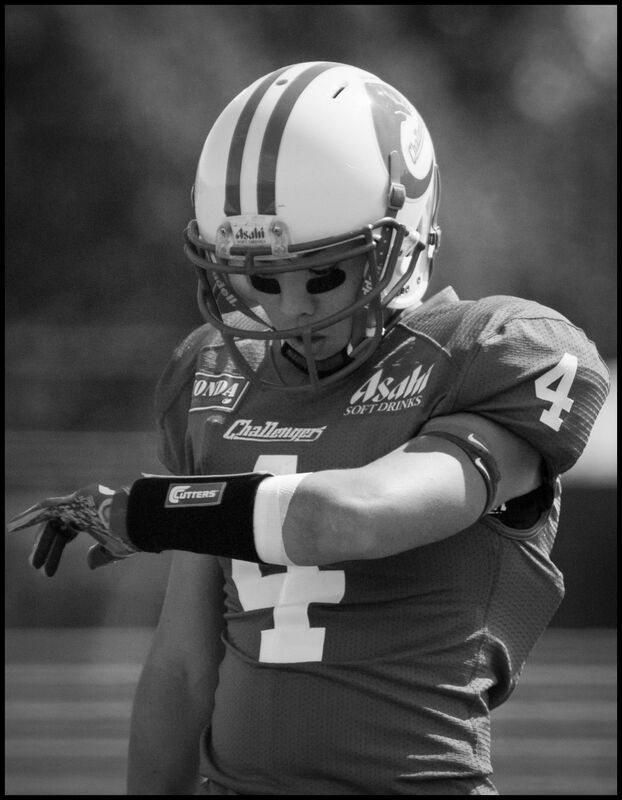 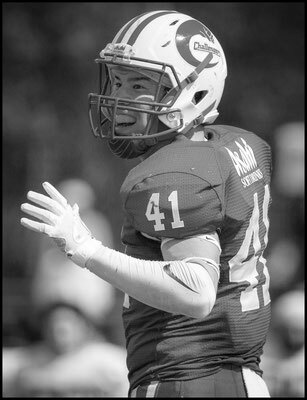 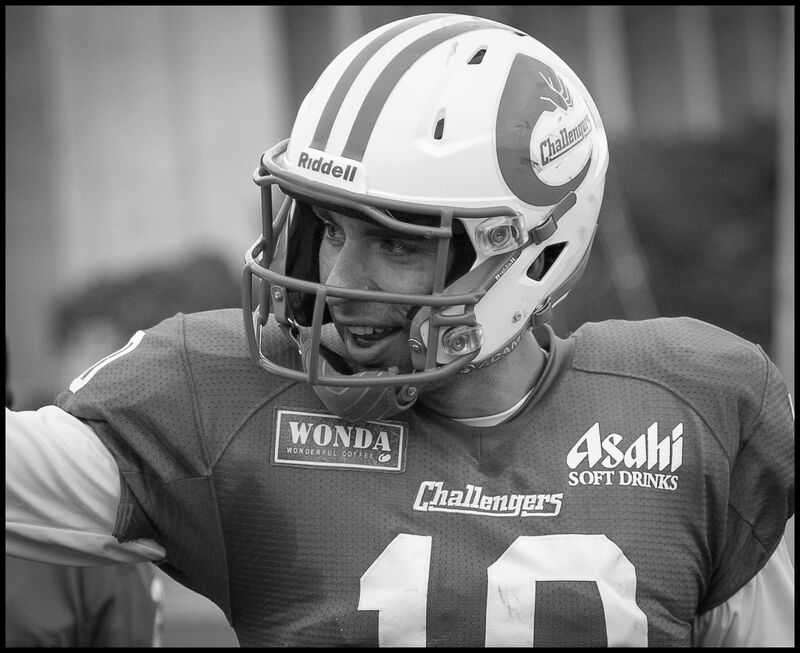 Challengers QB Alex Niznak threw an errant pass that was picked off by Ryosuke Shimizu and taken back 24 yards before Donnie King made the tackle. 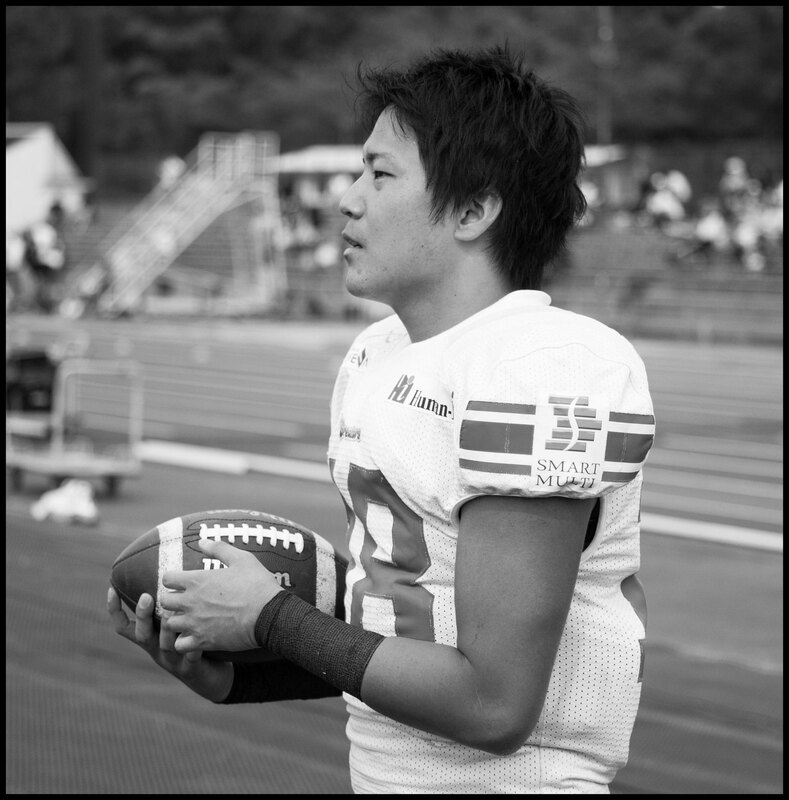 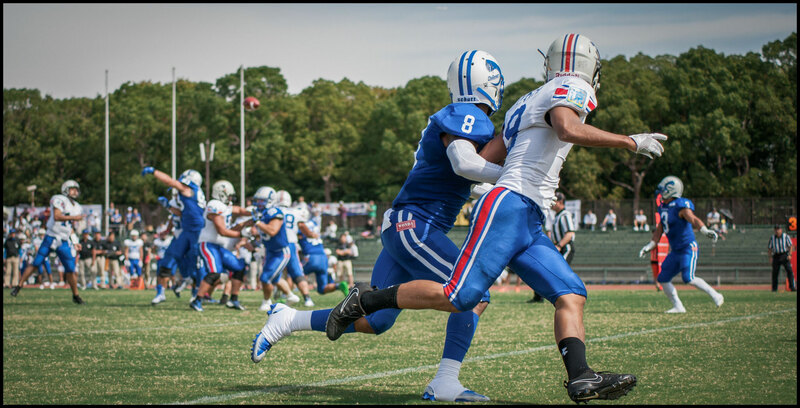 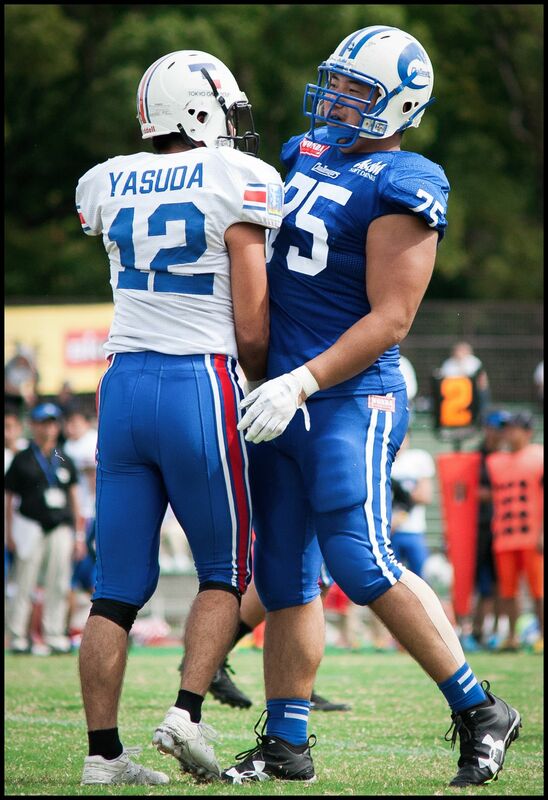 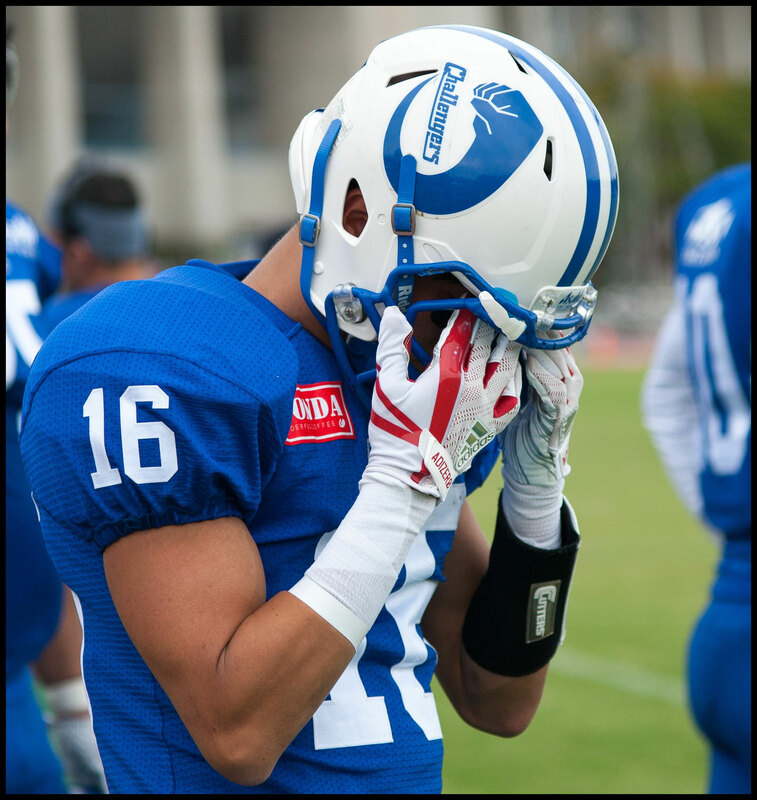 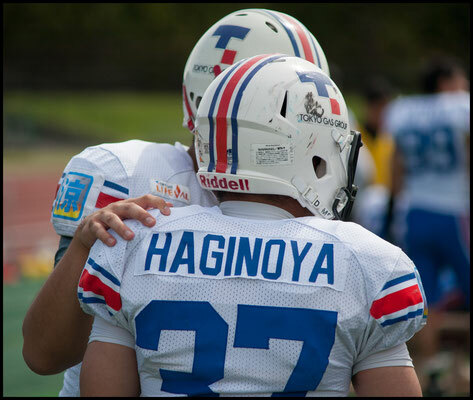 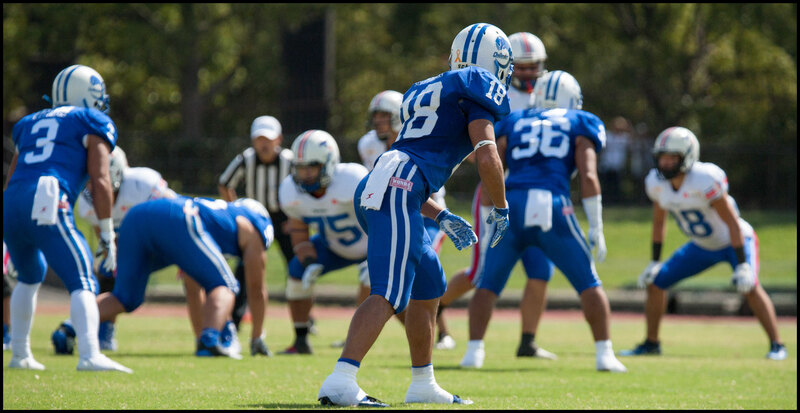 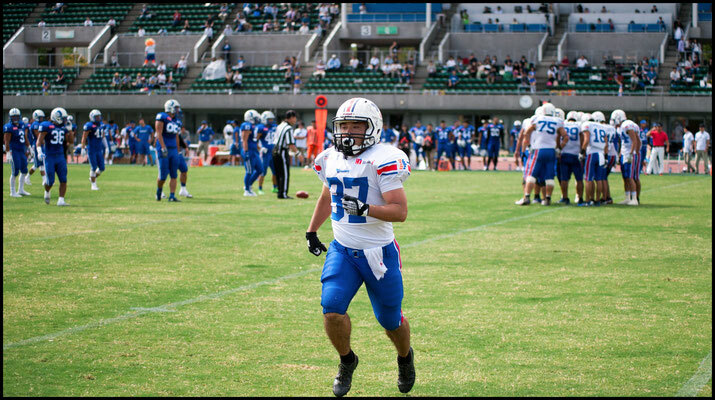 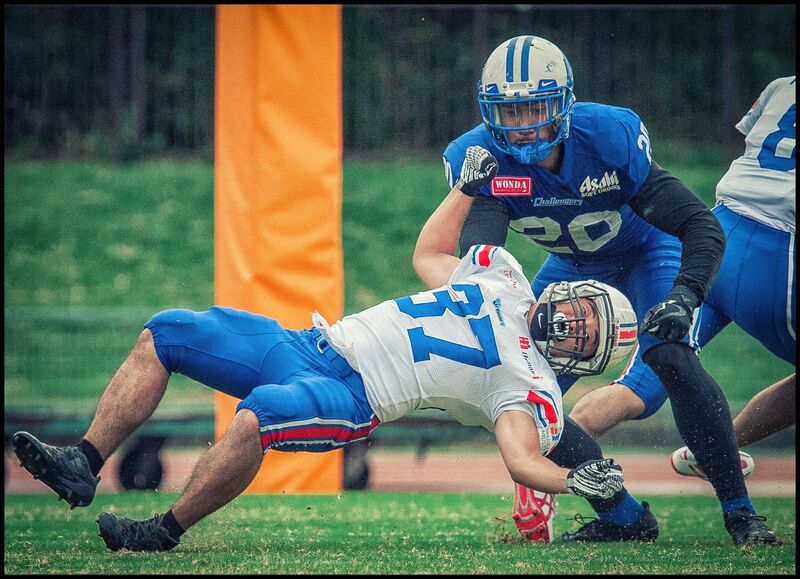 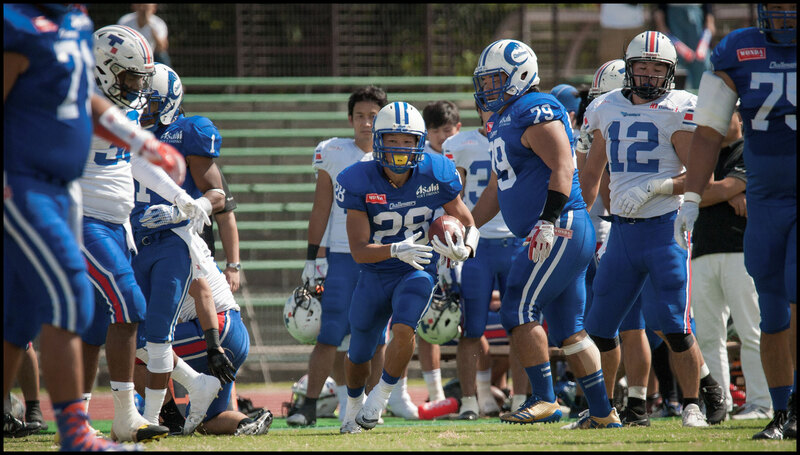 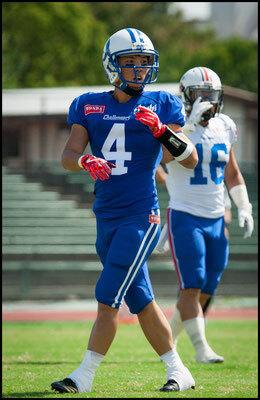 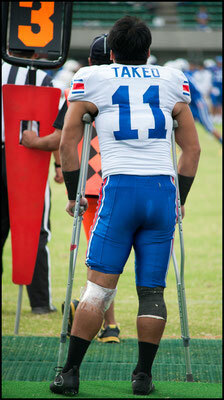 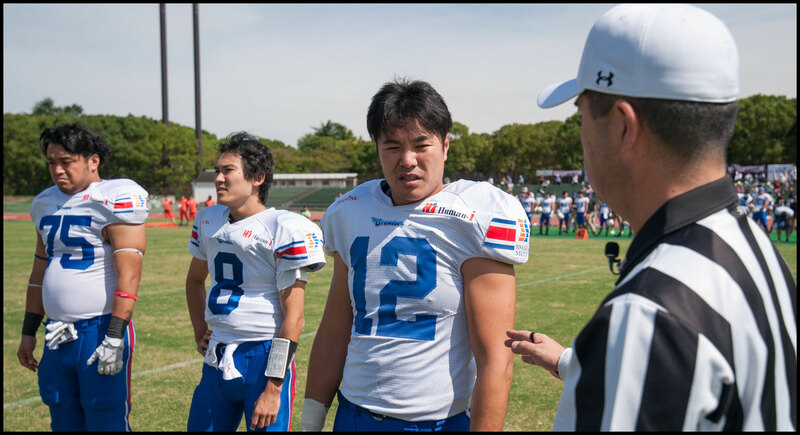 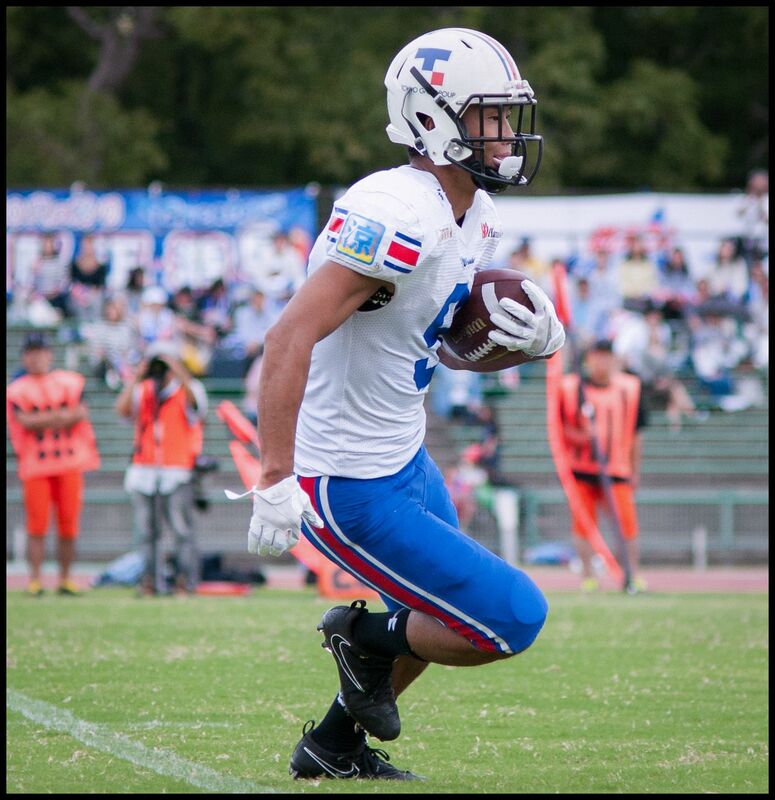 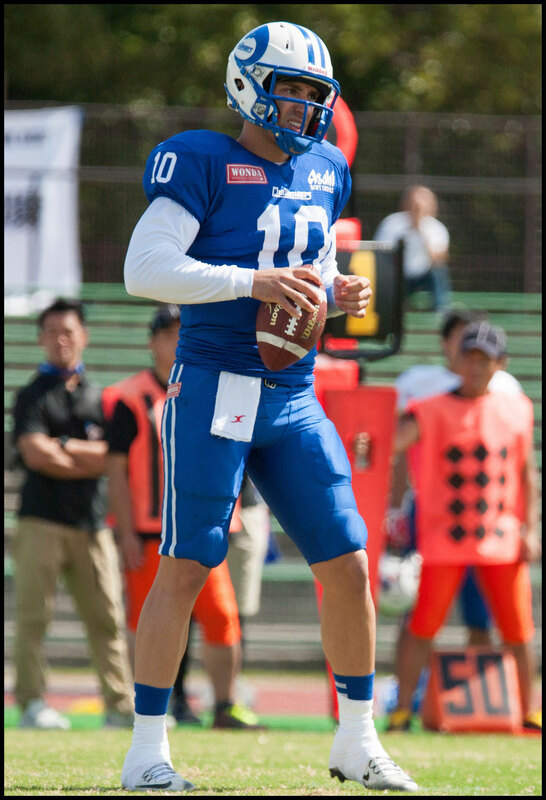 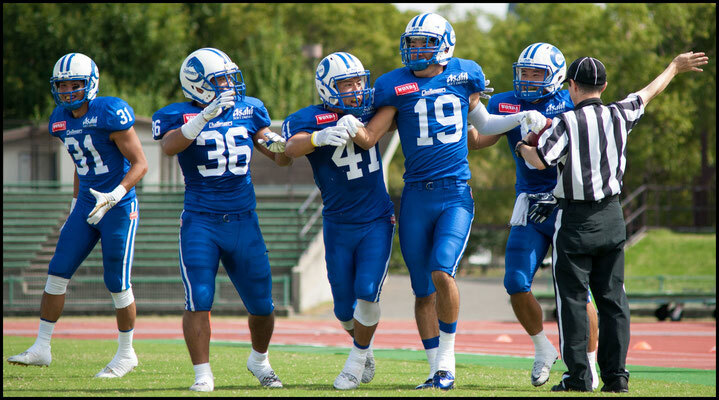 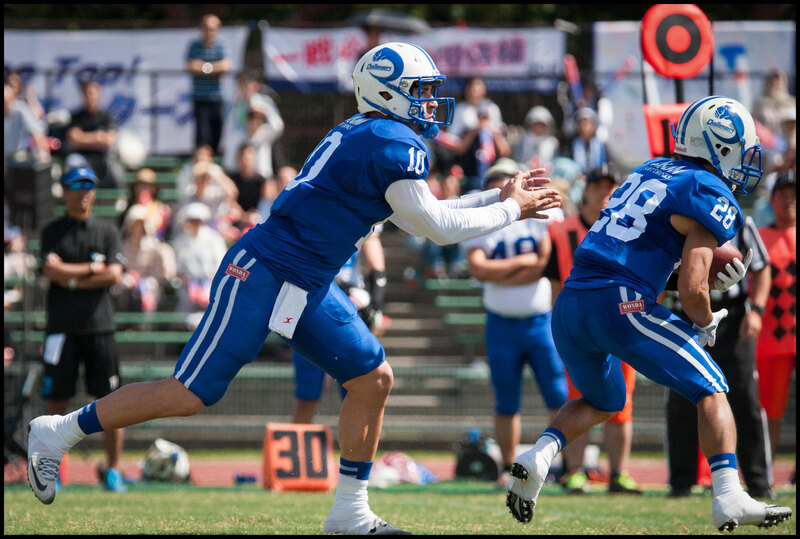 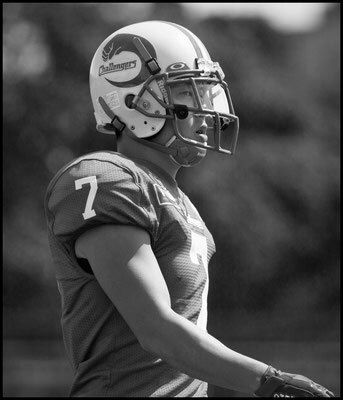 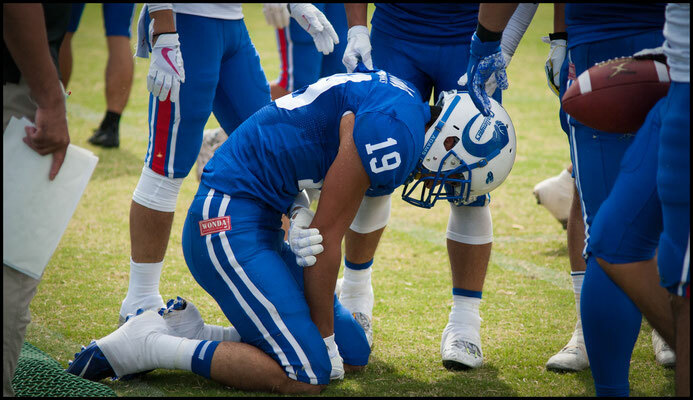 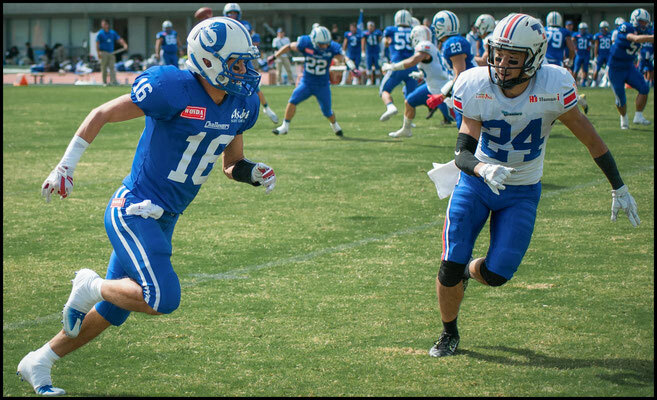 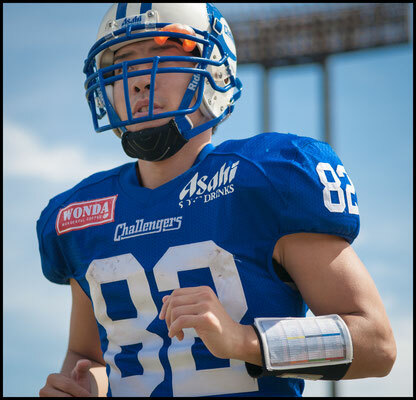 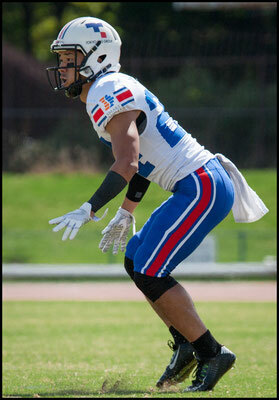 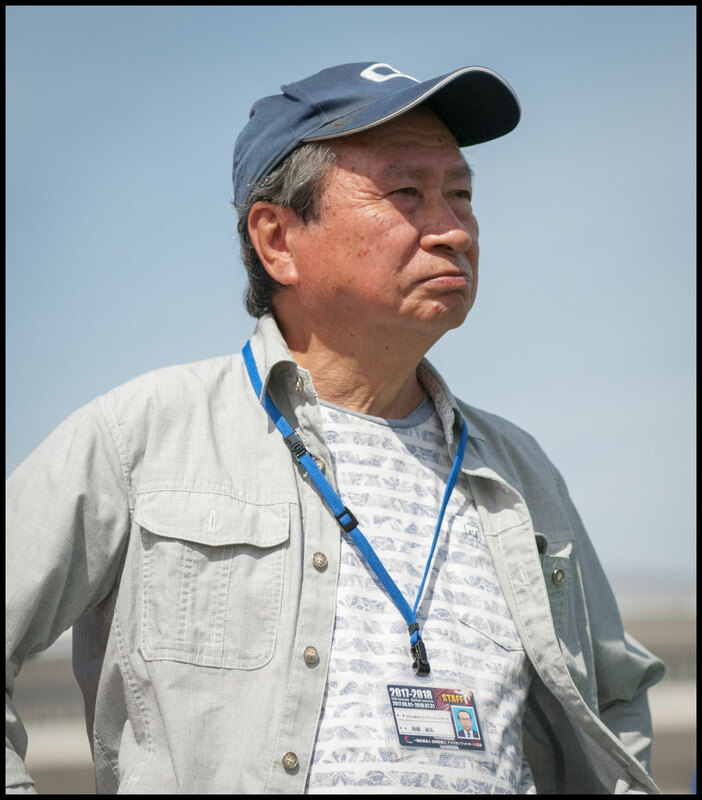 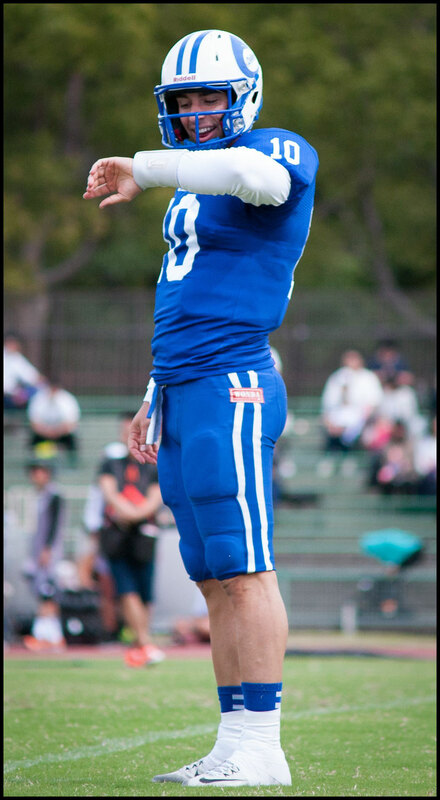 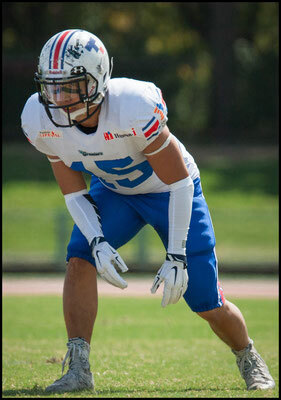 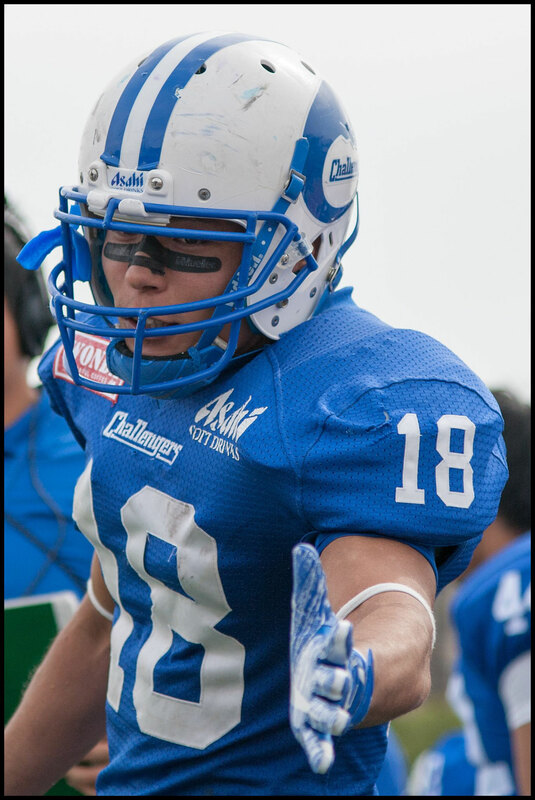 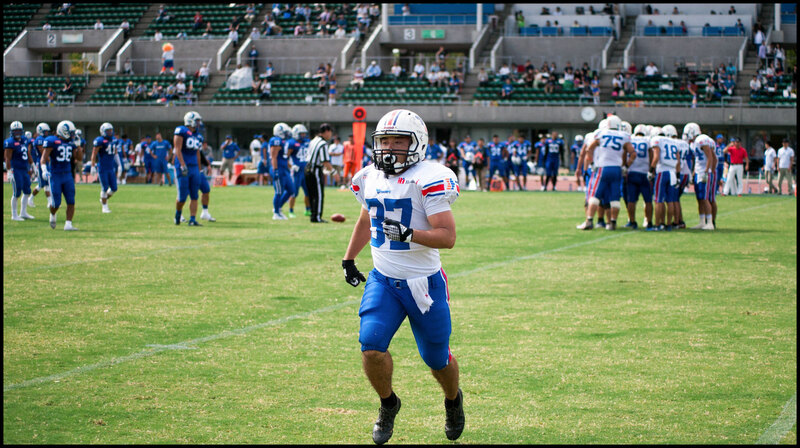 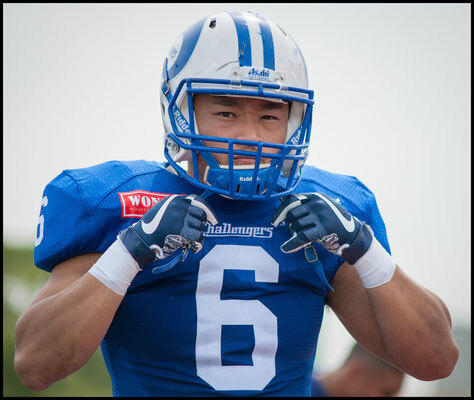 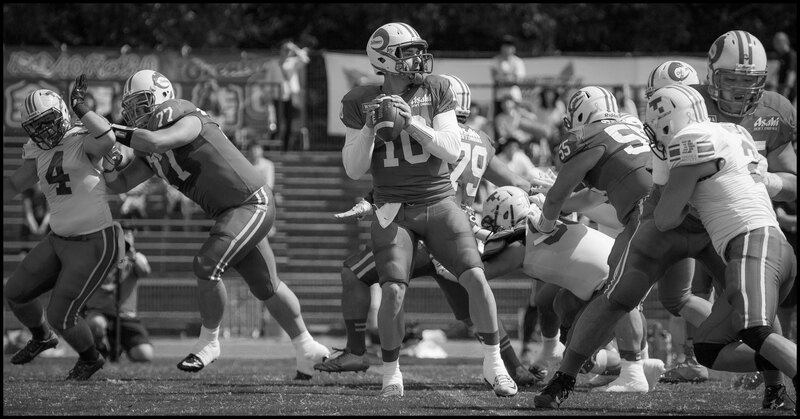 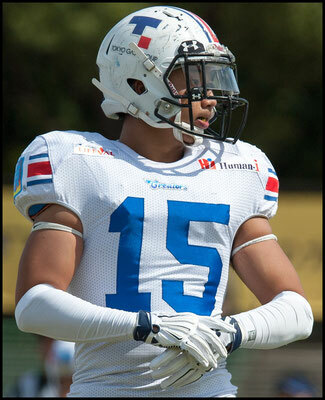 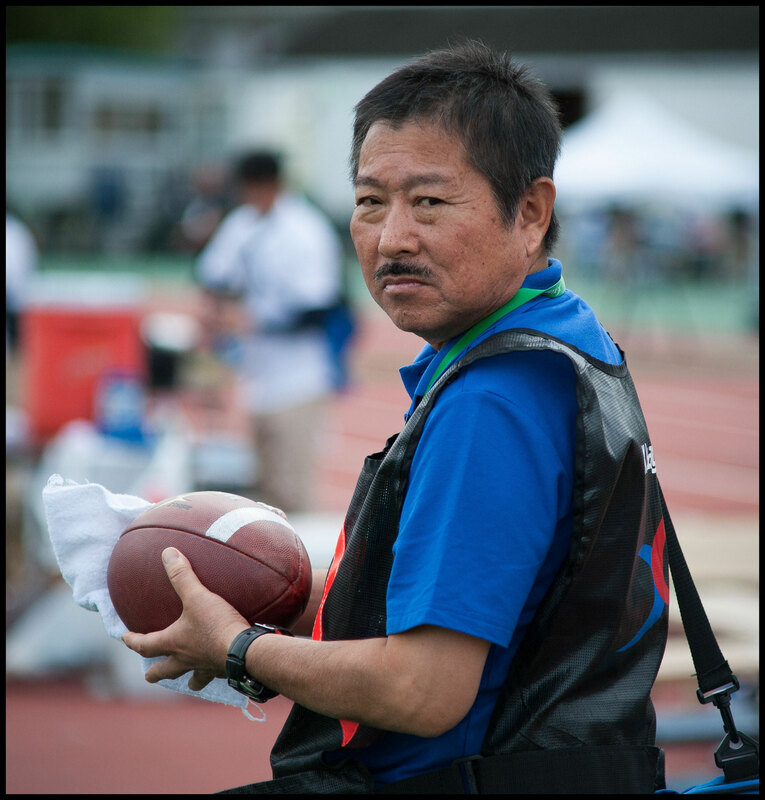 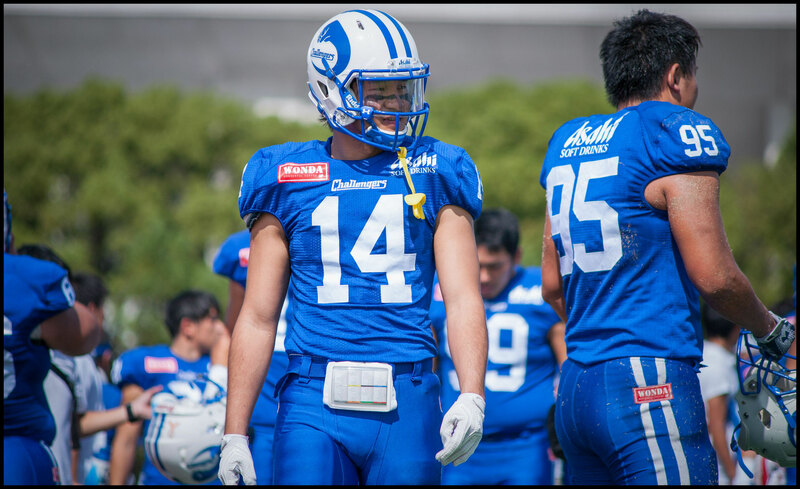 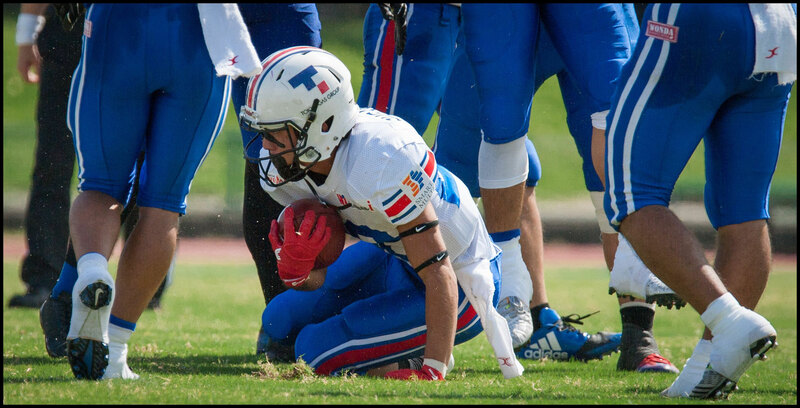 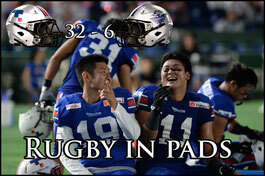 Creators QB Ryo Murota returned the favor when Taisei Yamamoto grabbed an INT in the end zone. 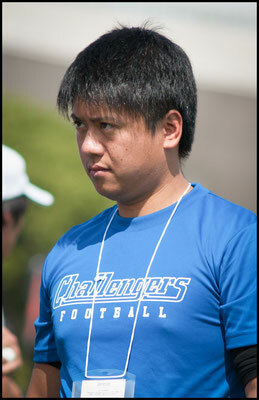 Not to be outdone the Challengers fumbled away that possession which led to a field goal attempt for the Creators. The FG try was blocked by first year star, Makani Kema-Kaleiwahea and the ball went directly to Donnie King for the recovery. Things settled down for the Challengers offense from there on out. 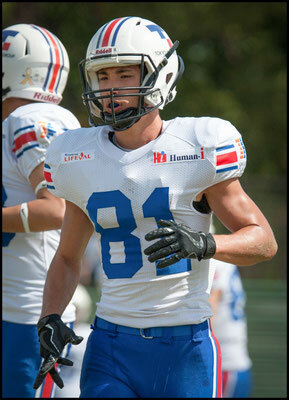 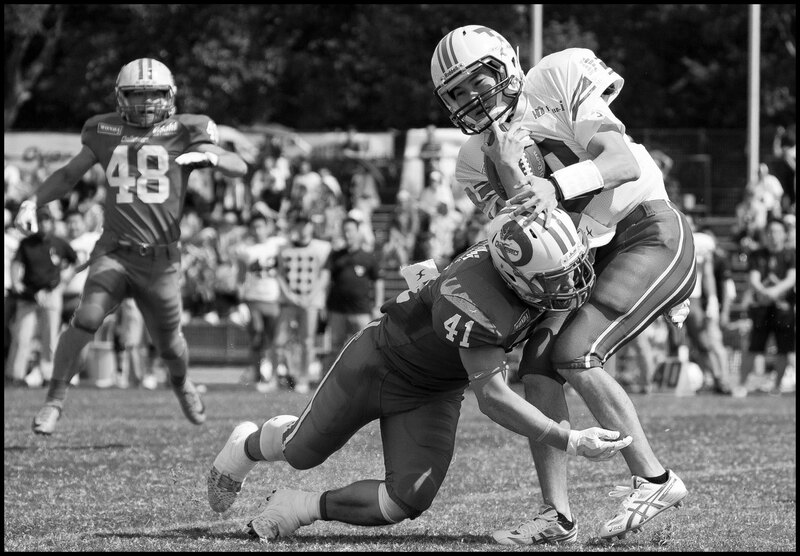 Alex Niznak went 10-14 for 103 yards in the remainder of the game and added a one-yard rushing touchdown as well. 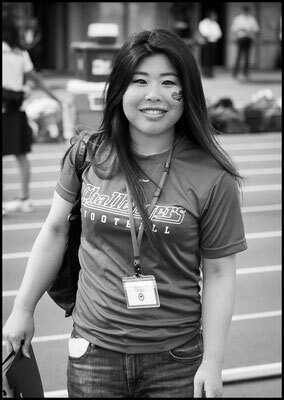 Niznak’s score put the Challengers up 7-0 at the half. 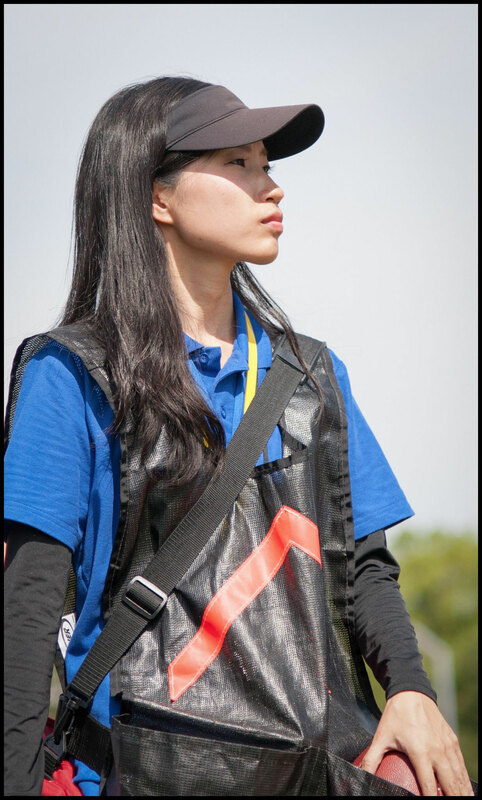 Tokyo Gas had a dismal day on special teams. 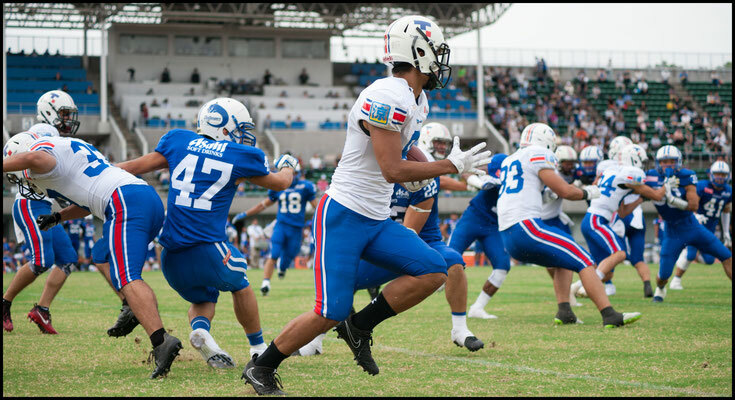 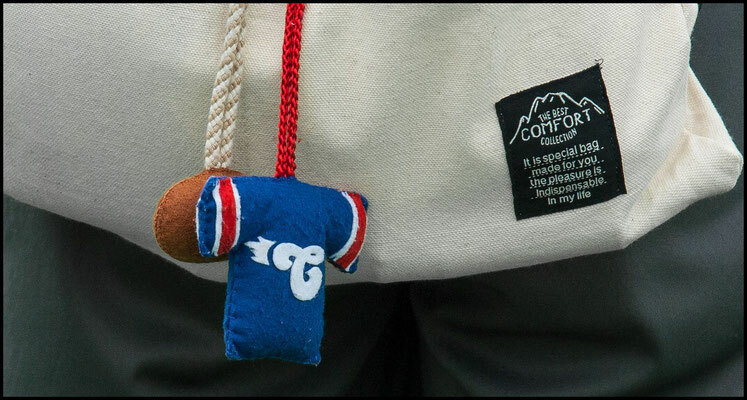 The second half opened with a penalty on the Creators before the clock had even started. 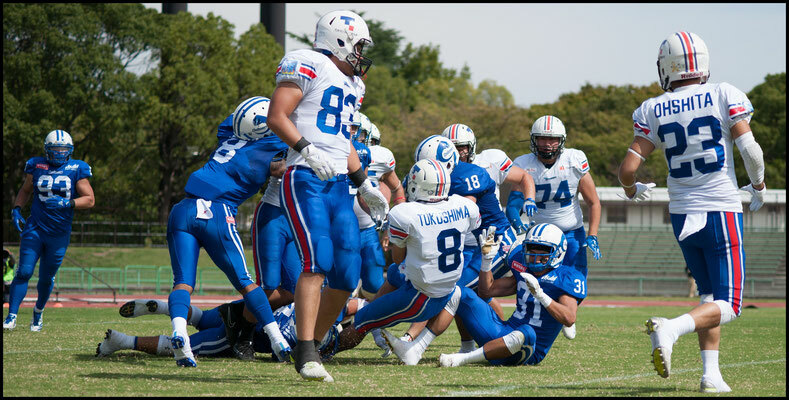 The Creators defense generated enough pressure on to force a punt on their first series but the returner let the ball slip between his outstretched arms and The Challengers recovered the ball at the 12-yard line, and got a FG out of the possession. The Creators offense didn’t fare much better than their special teams, gaining a total of 72 yards on 41 plays. The woes on offense were due largely to defensive pressure. 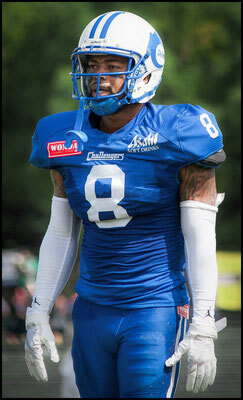 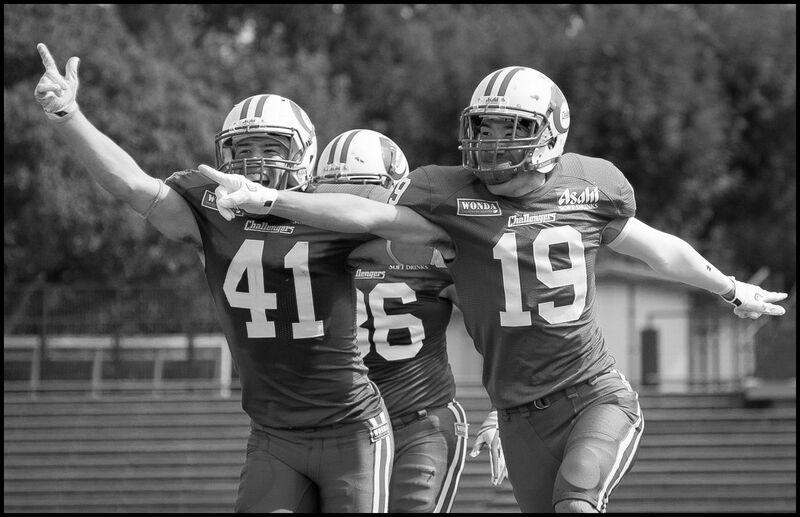 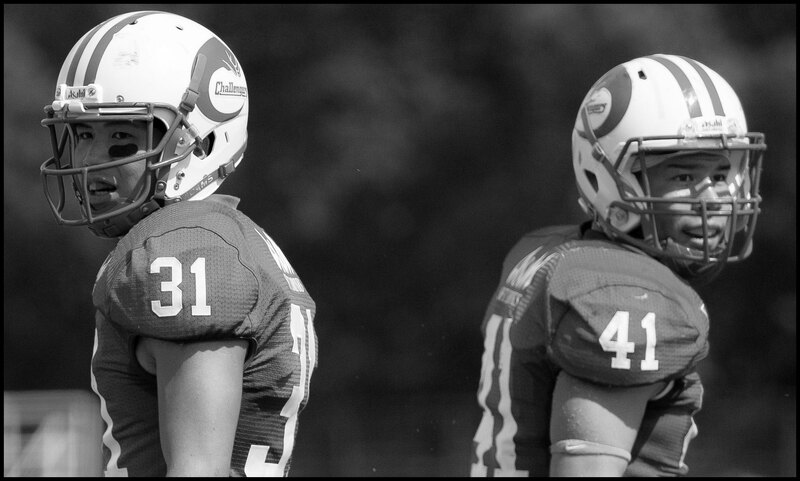 The Challengers recorded 10 tackles for loss, and 2 interceptions and only gave up one pass for positive yardage. 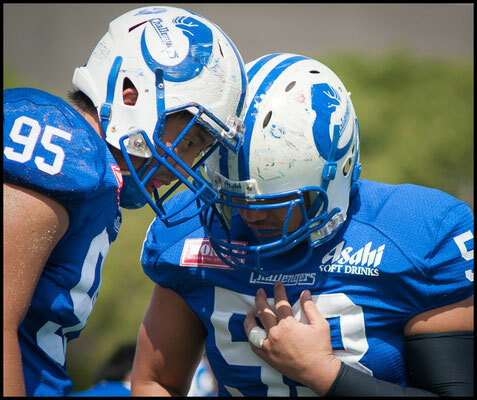 The standout play of Kentaro Oe was writ large on the score sheets but the play of his partner on defense Makani Kema-Kaleiwahea also deserves mention. 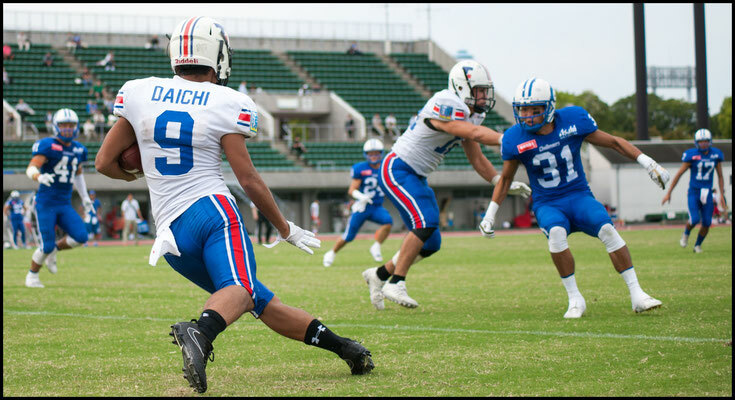 Kaleiwahe's style of play doesn’t necessarily lend itself to impressive statistics. He plays a high tempo game, seems to have a nose for the ball and has a sixth sense about what play is coming next. 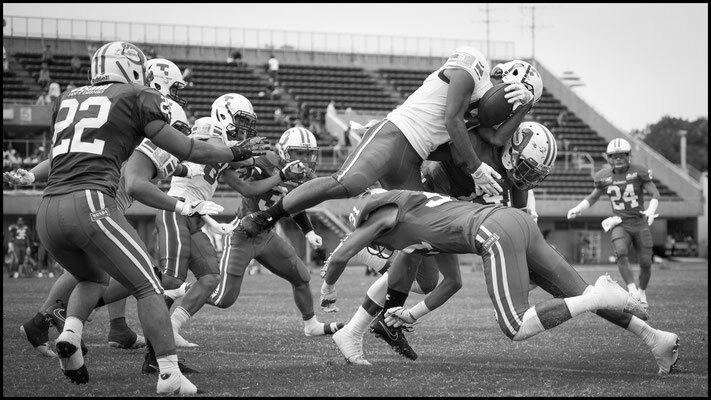 Simply put he’s bigger, stronger and faster than everyone else on the field and it doesn’t always look like he’s playing the same game. 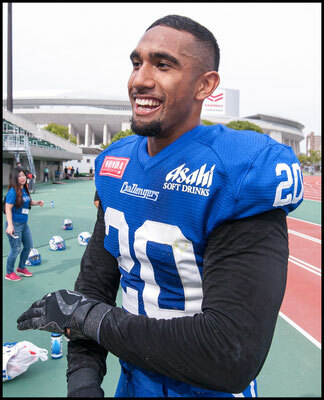 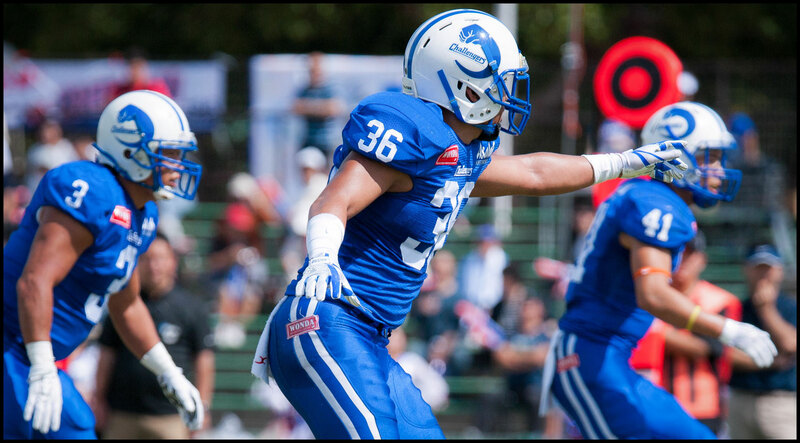 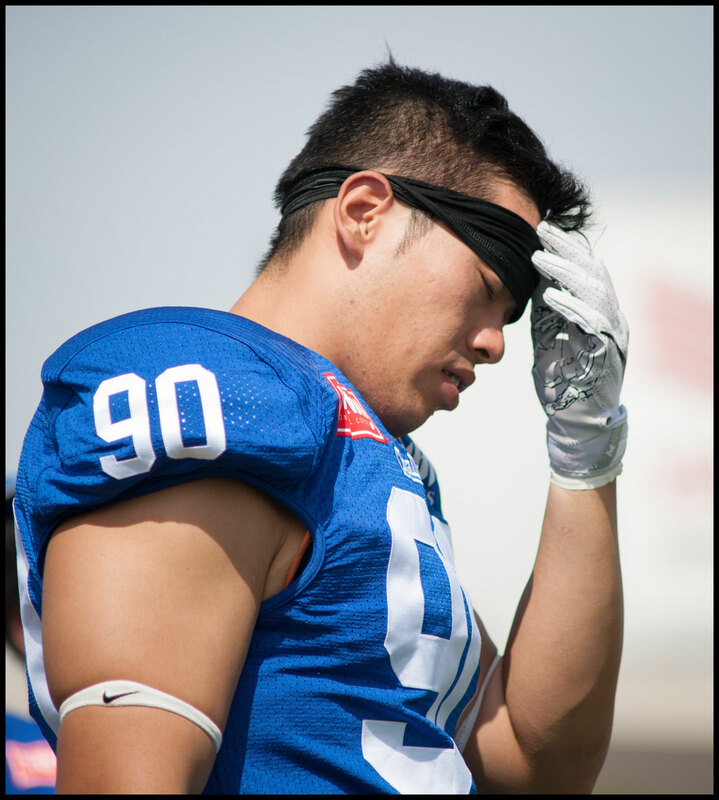 Kaleiwahea and fellow American Clint Floyd have helped the Challengers defense to hold opponents to one score or less in three of four games this season. 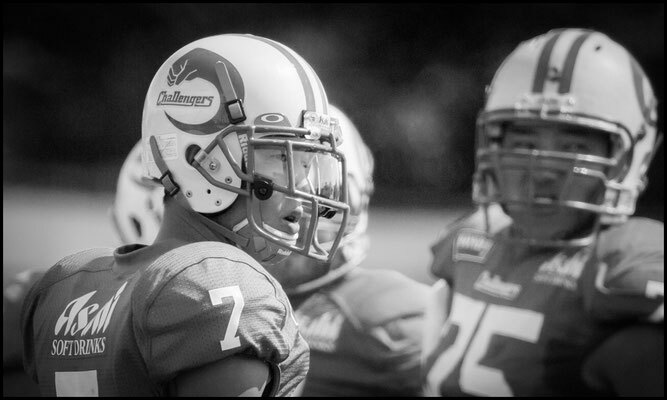 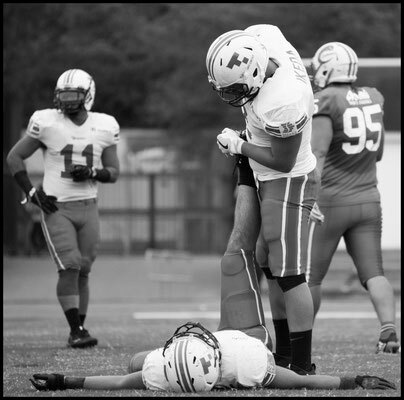 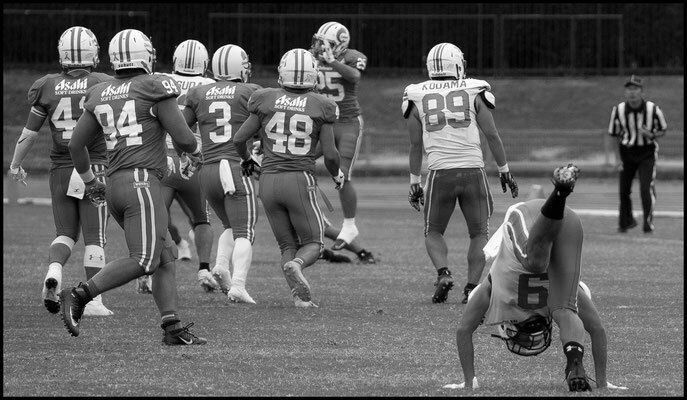 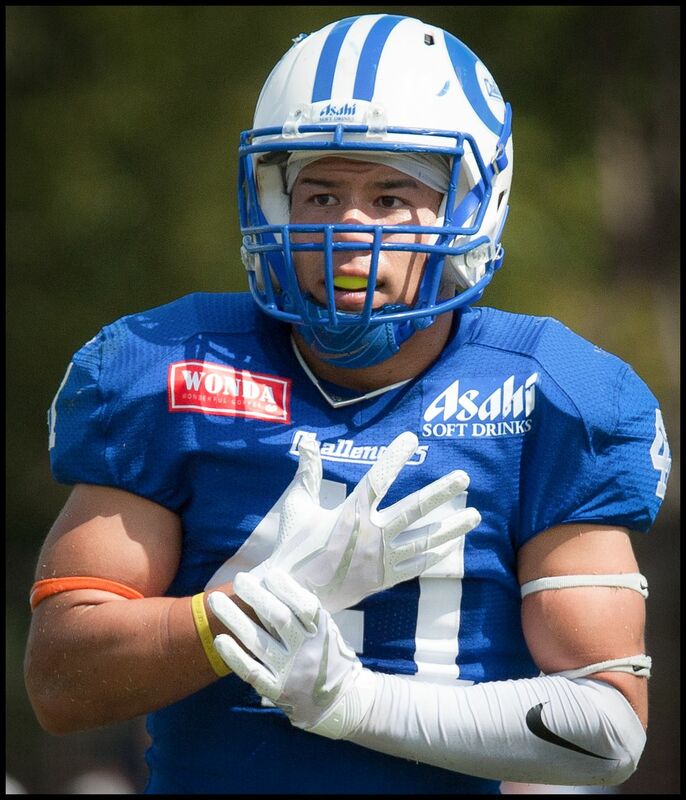 Kaleiwahea who’s from Hawaii said, “I love football. 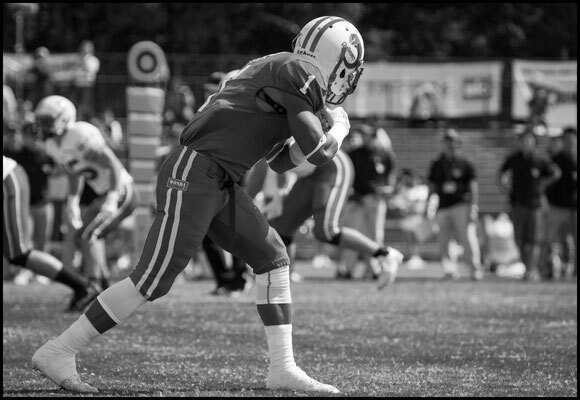 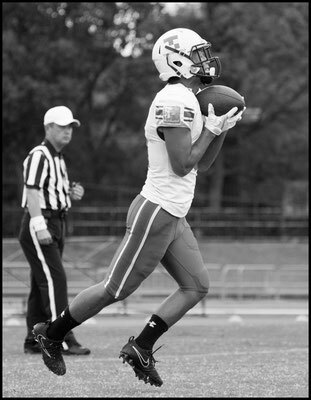 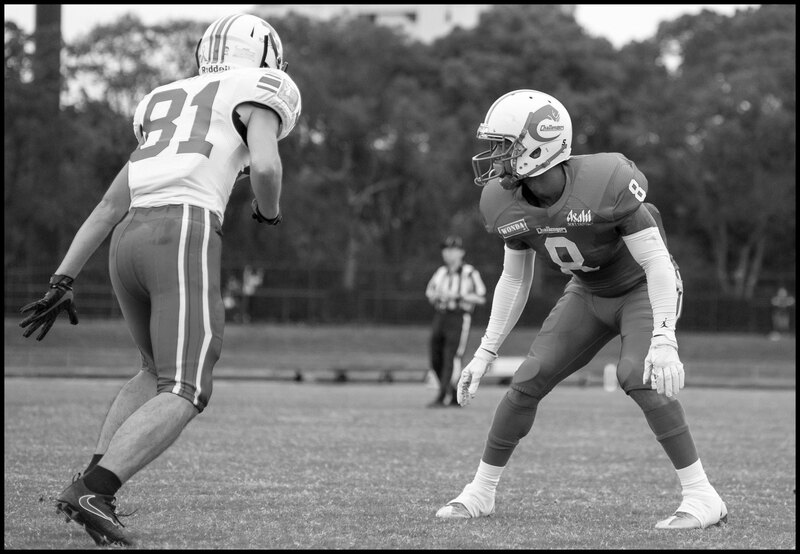 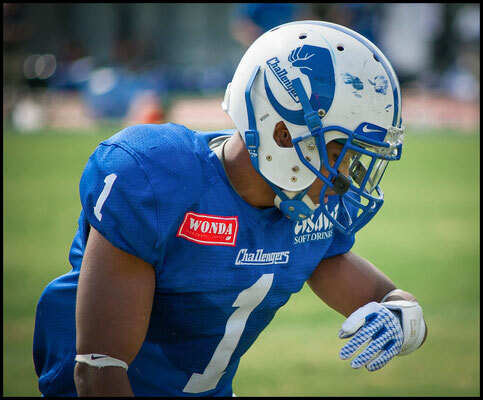 It’s a blessing to be able to play close to home and I do whatever I can to help this team win.” What he does do is play aggressive and low to the ground, his swiping hands always seem to be just catching the ball carrier’s shoelaces. Somehow, the former Rainbow Warrior wasn’t credited with a single tackle but was in on every play. 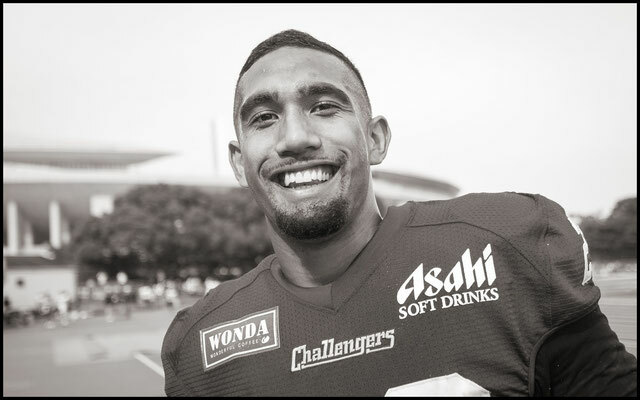 Kaleiwahea said that the Challengers despite their inconsistent play so far are “going to surprise some people.” If they beat their next opponent, ‘surprise’ would be an understatement. 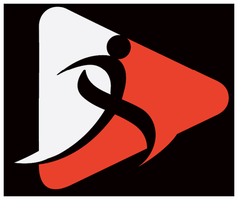 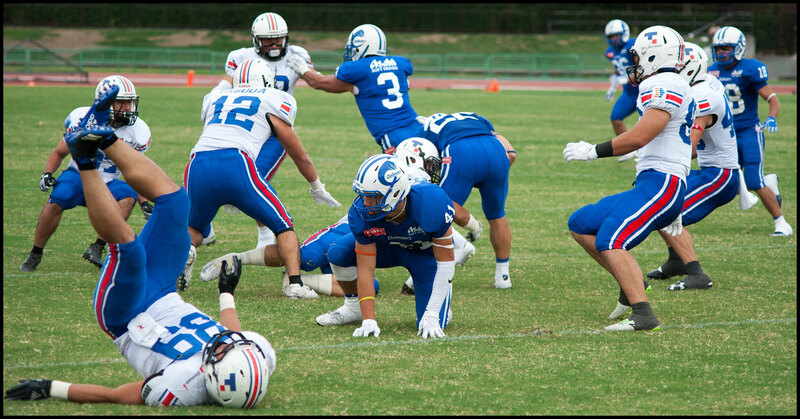 Fujitsu Frontiers may have lost to Panasonic Impulse in the game following the Challengers one at Nagai on Sunday, but they are still one of the top sides in the country as well as the defending national champions. 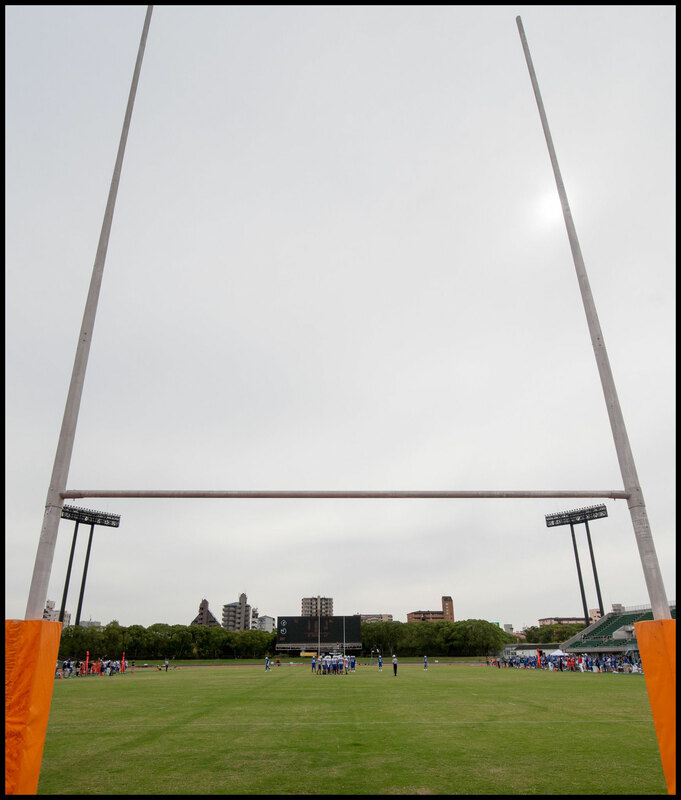 Which is not to say it’s an impossible task, but every player on the Challengers would need to play at Oe / Kaleiwahea level for that to happen. 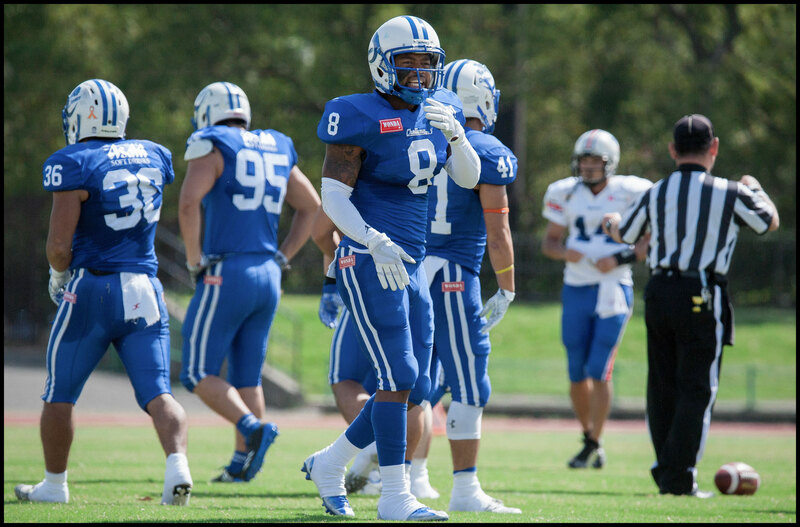 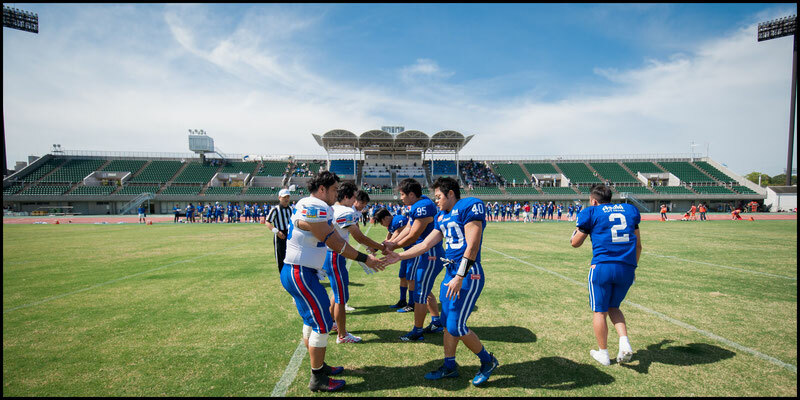 The game will be at Amino Vital Field in Tokyo on October 15th. 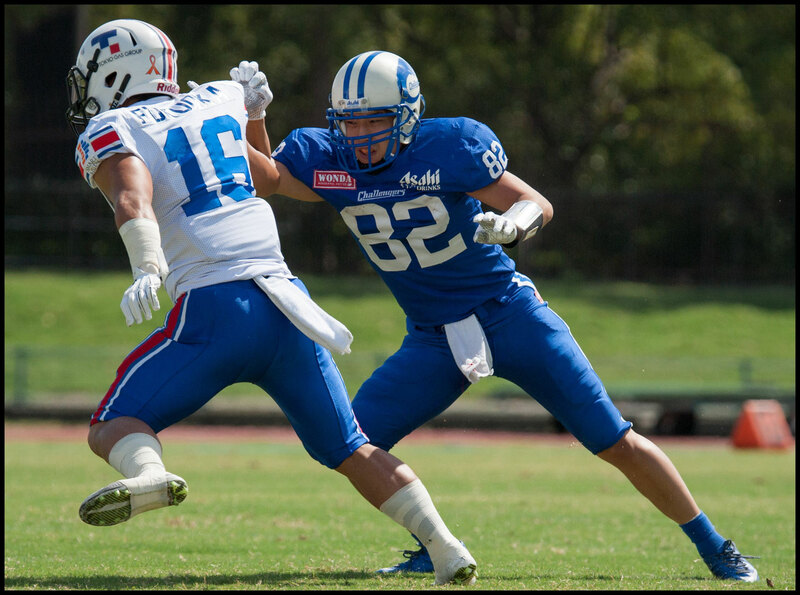 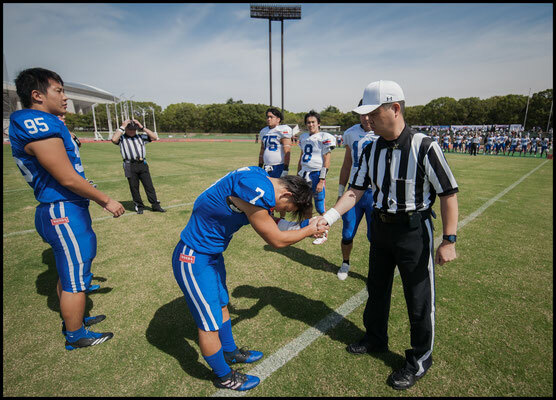 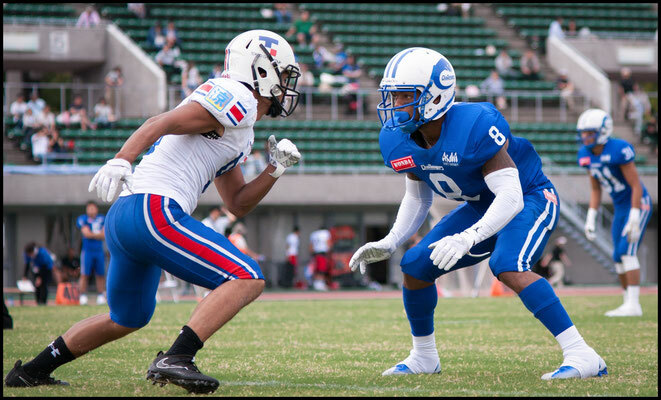 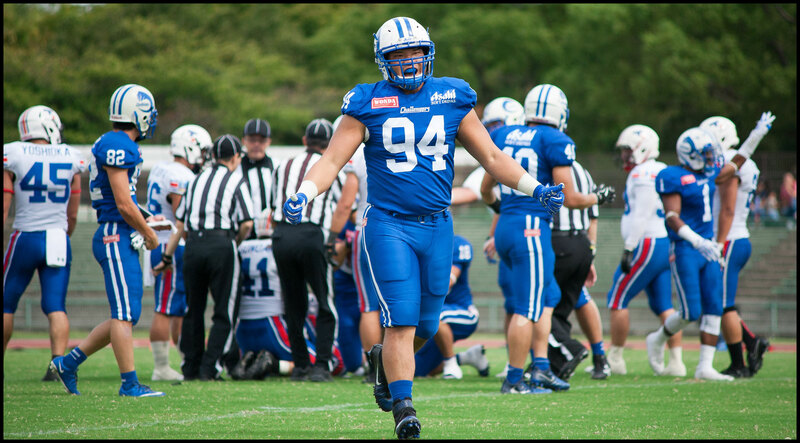 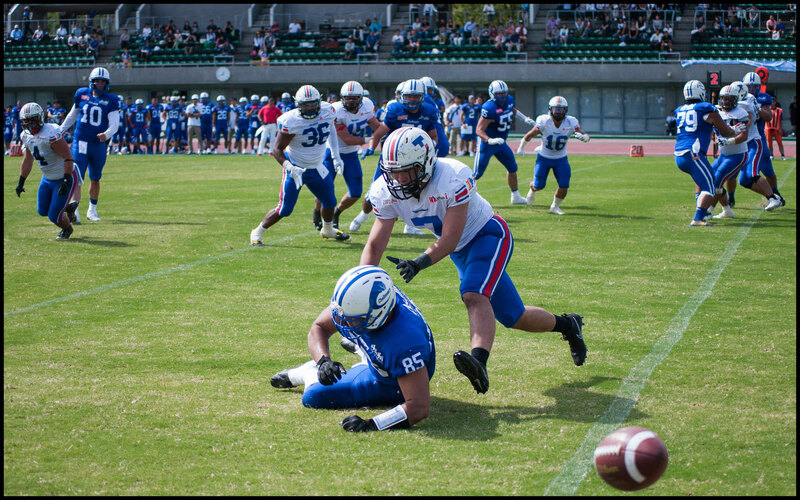 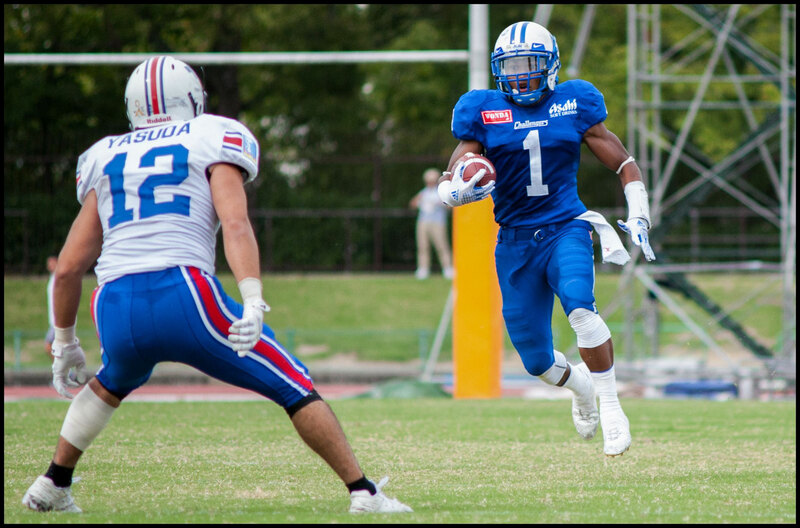 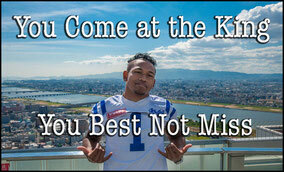 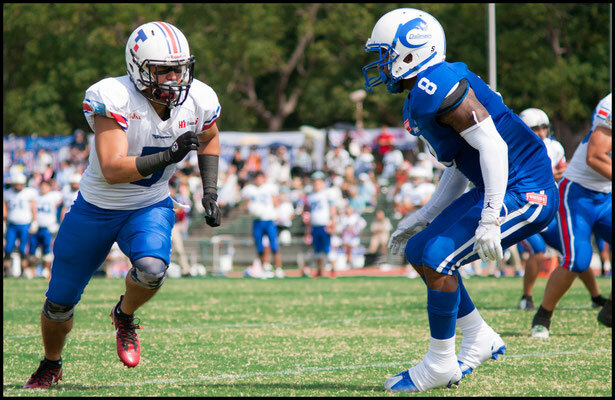 Creators will face the Lions the day before at Fujitsu Stadium in Kawasaki in a game that may decide which team gets one of the two wildcard slots open to Battle Nine teams.